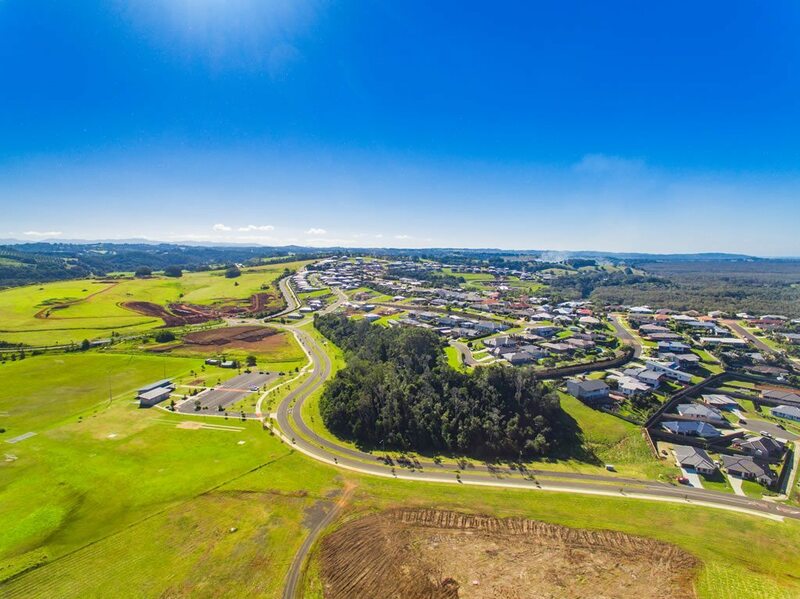 Avalon Estate is a new residential subdivision with over 150 building-friendly blocks ranging from 702sqm to 735sqm. 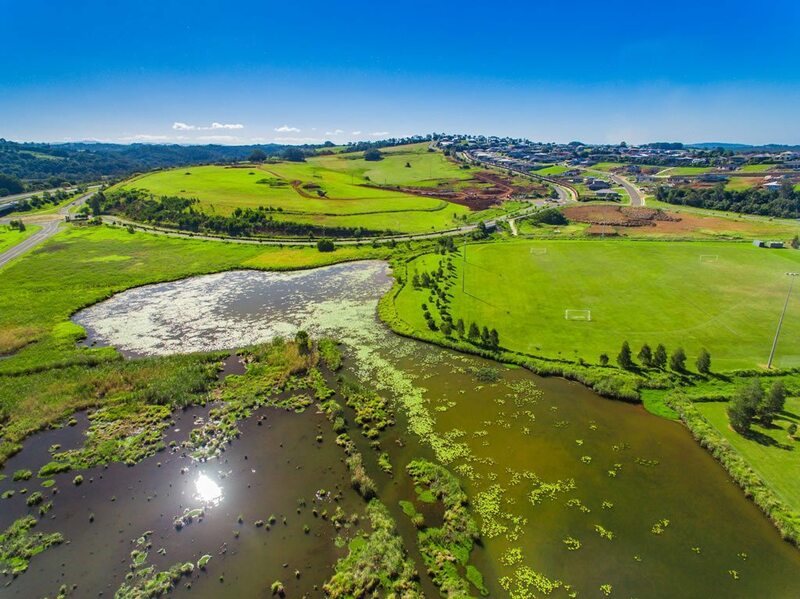 Avalon Estate offers the convenience of village lifestyle in Wollongbar with a rural feel showcasing views of the Plateau, the Nightcap and Border Ranges. 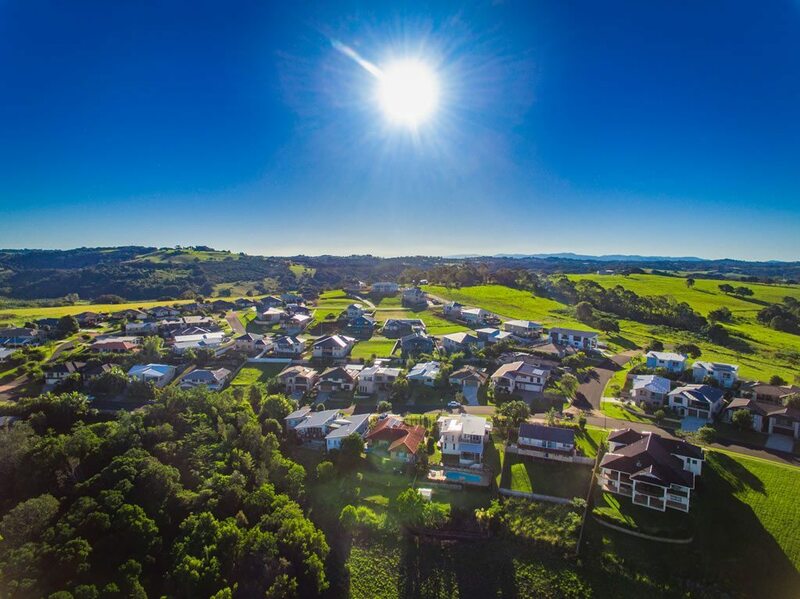 Situated approximately 15 minutes to Lismore or Ballina, Avalon has been designed with family in mind. 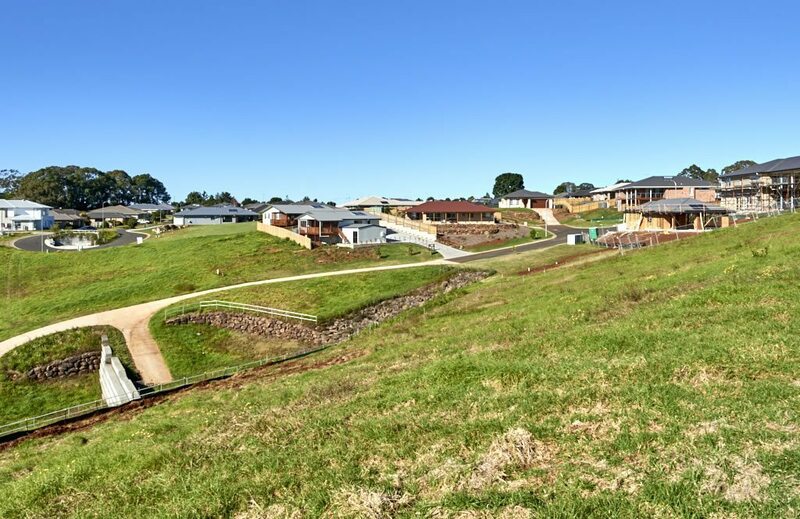 The key challenges we could see for this project were sewerage servicing technicalities, due to site topography, as well as, due to the location, bush fire consideration in the town planning stage. 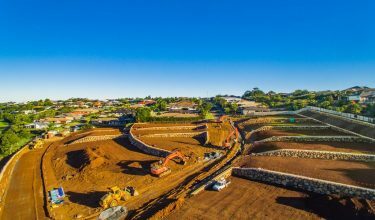 We overcame these challenges by undertaking construction of pumping station and under bore, lot design involving earthworks, rock retaining walls and key asset protection zones. 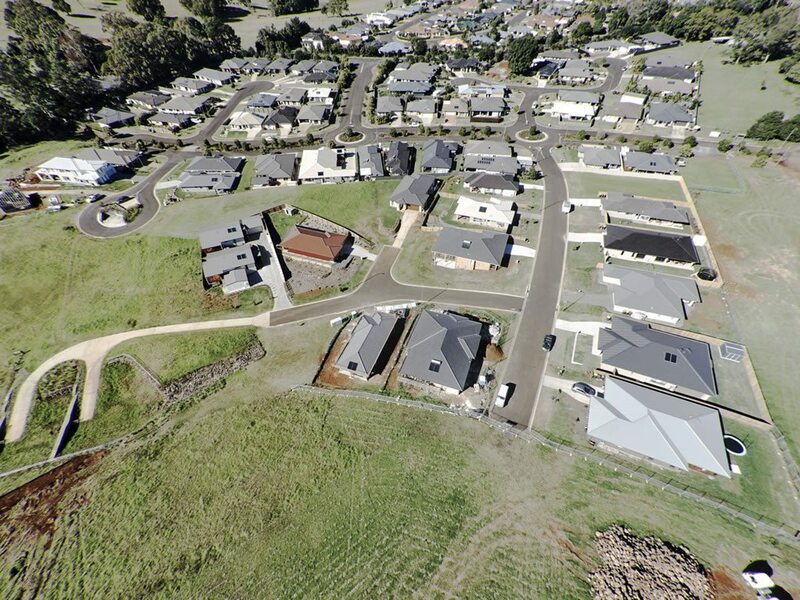 The key features/points of difference to mention are, the easy walk to Wollongbar Public School and bus route to secondary schools. 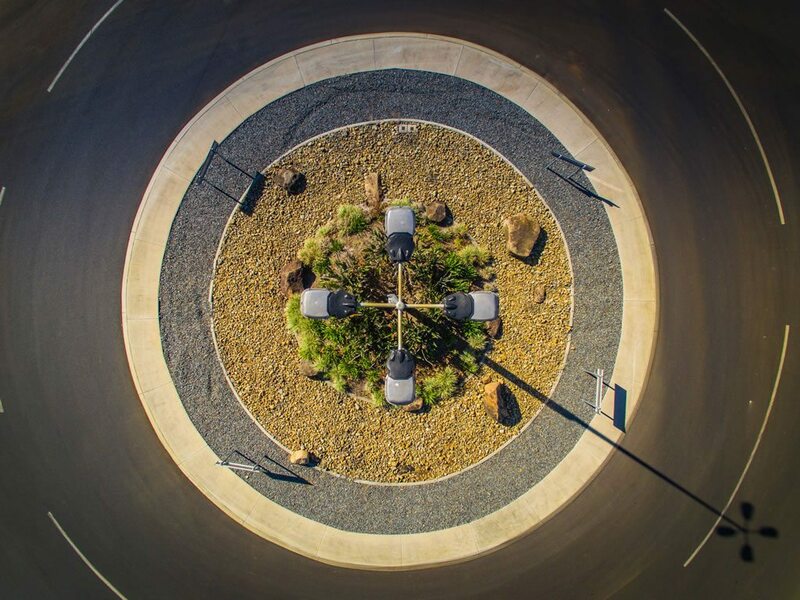 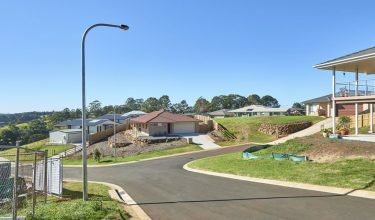 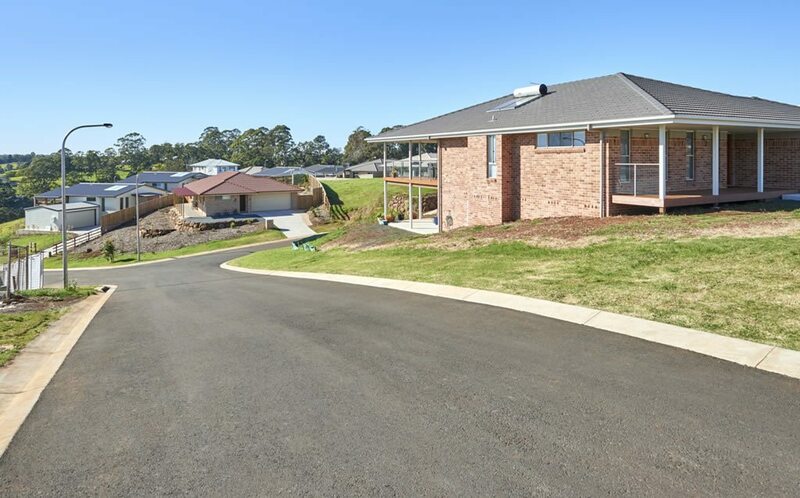 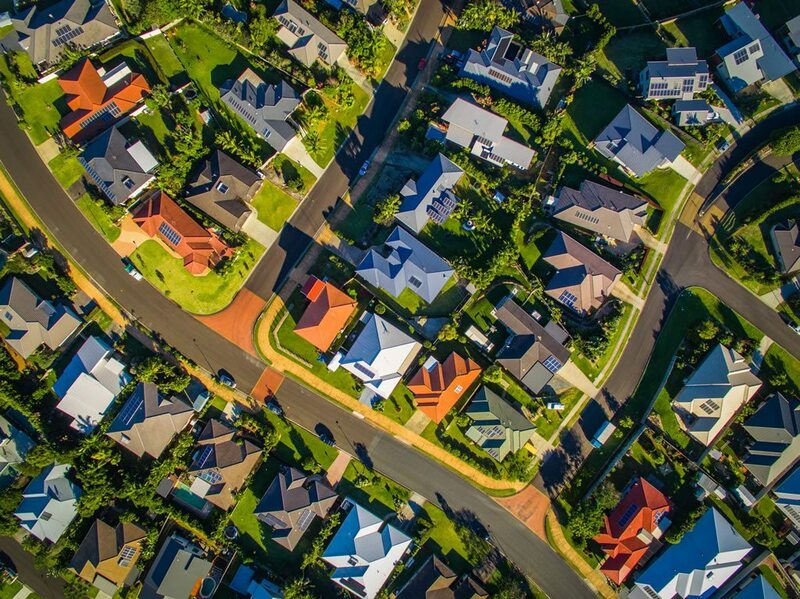 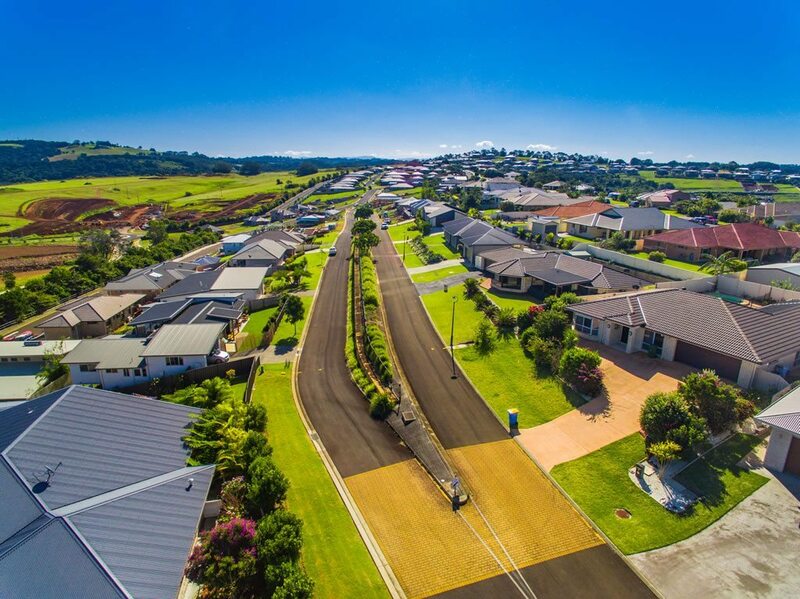 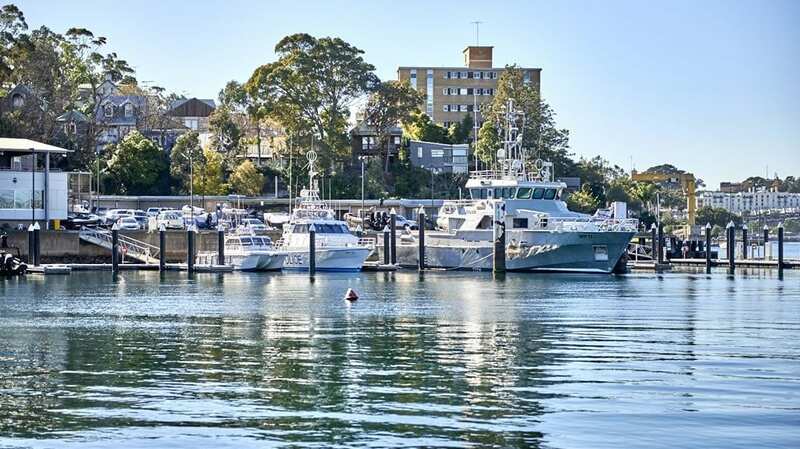 The quality built homes throughout the estate that complement the picturesque established surrounds, and fully serviced blocks including underground power and NBN connection. 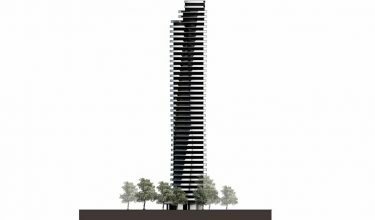 Ardill Payne & Partners undertook the Surveying, Town Planning and Civil Engineering for the project. 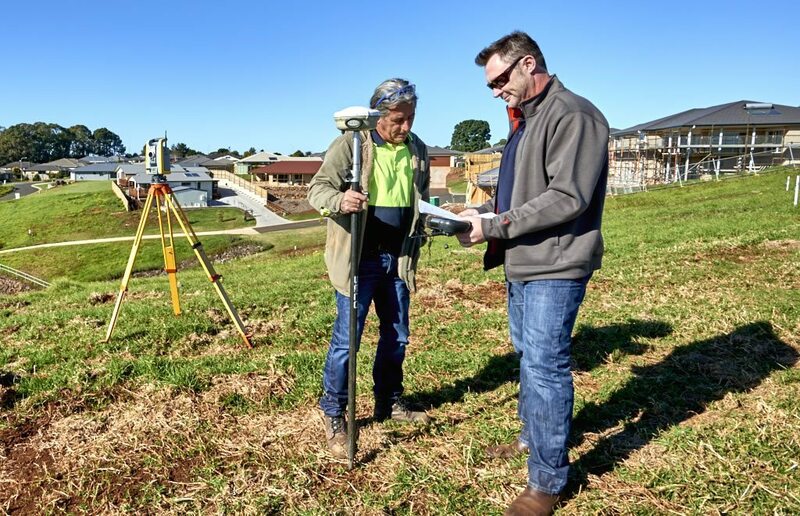 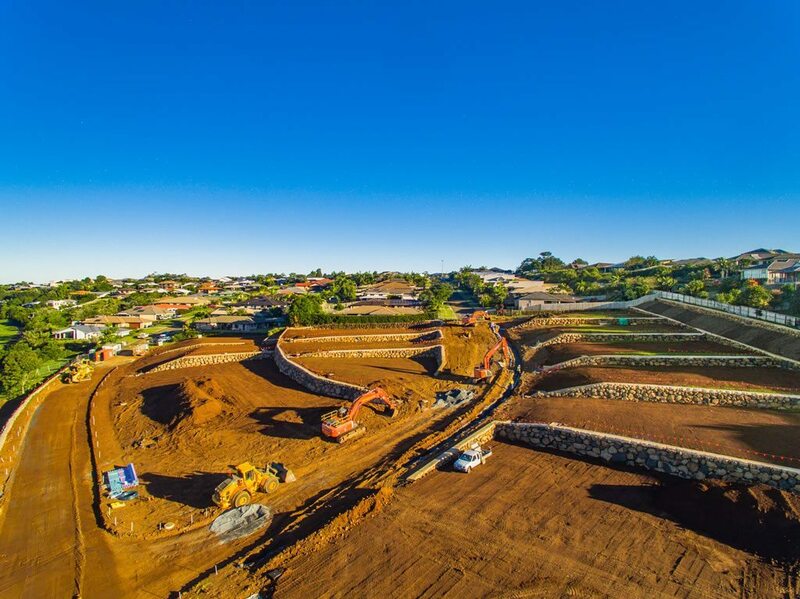 Preparation of technical specification for all subdivision works including earthworks, roadworks, storm water drainage, water reticulation and associated works including 300m under-bore gravity sewer diversion. 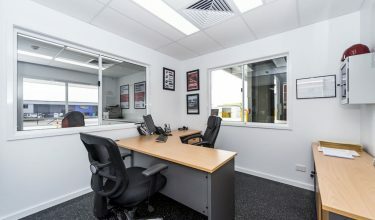 Preparation of contract and tender documentation. 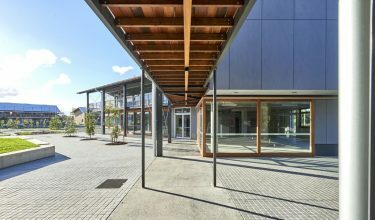 Contract administration and supervision of all works. 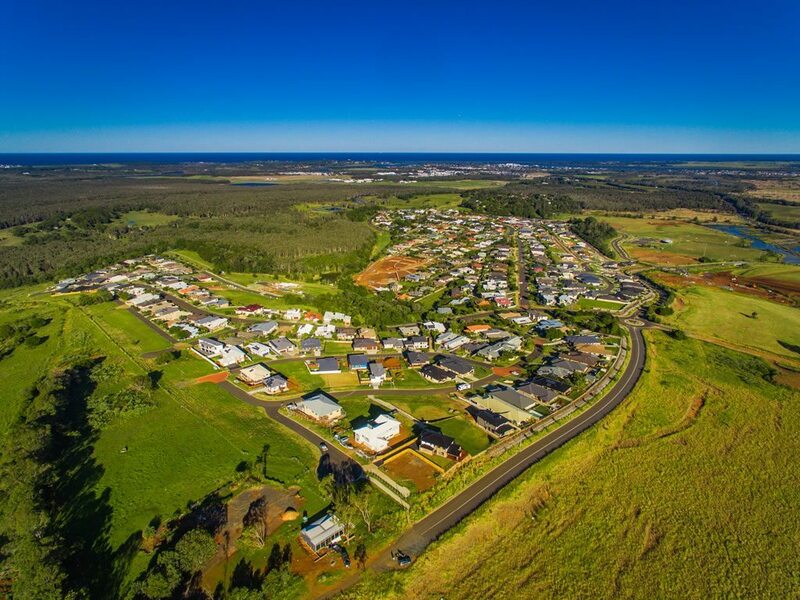 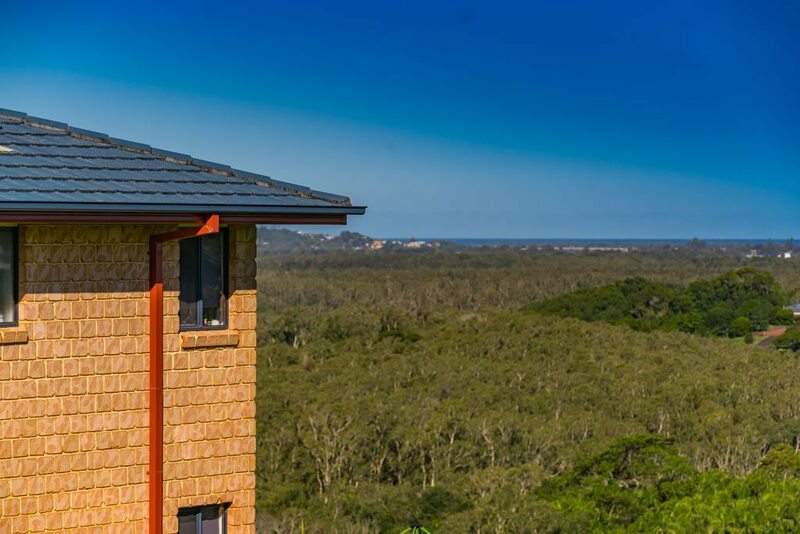 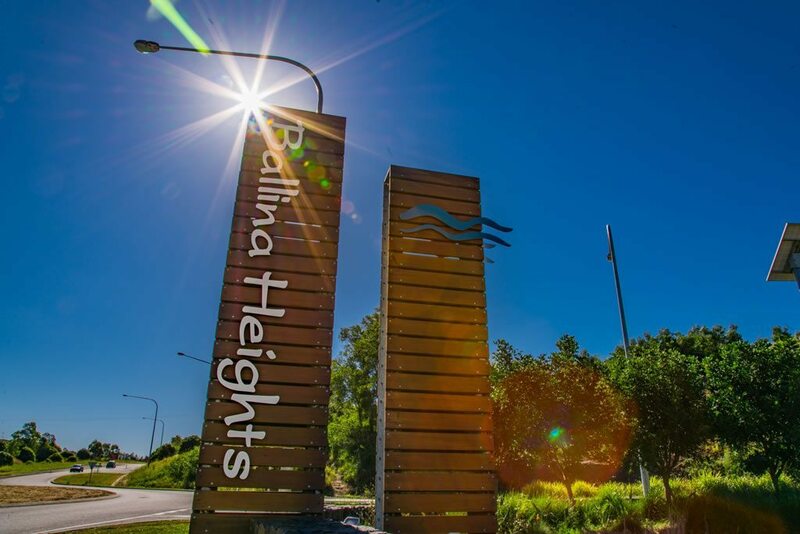 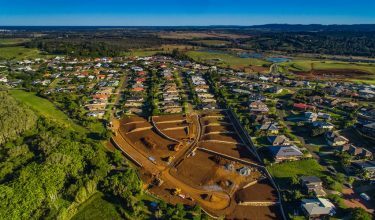 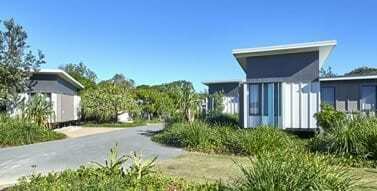 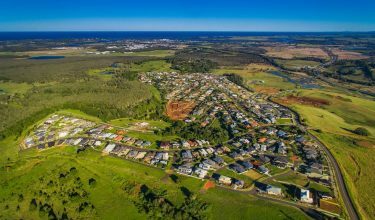 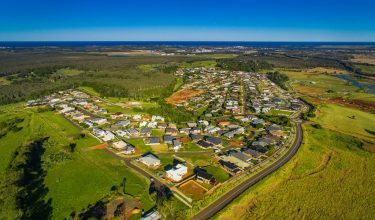 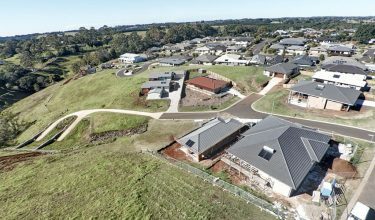 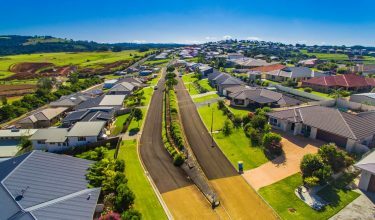 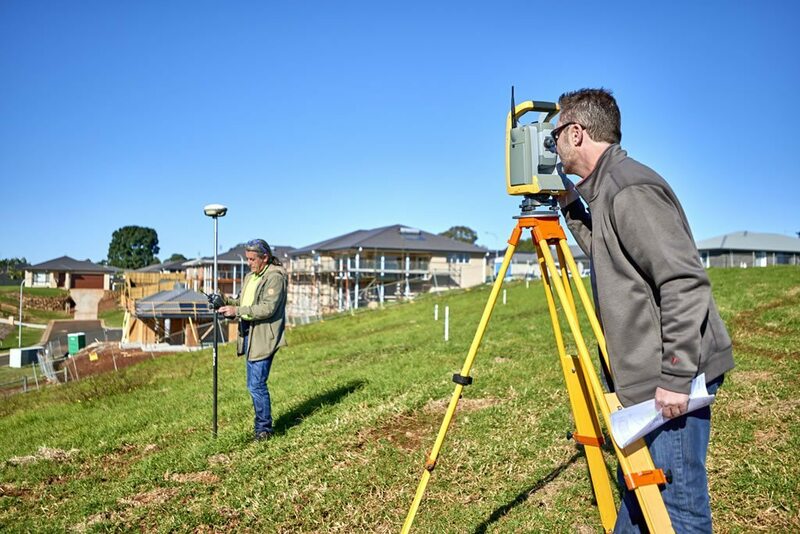 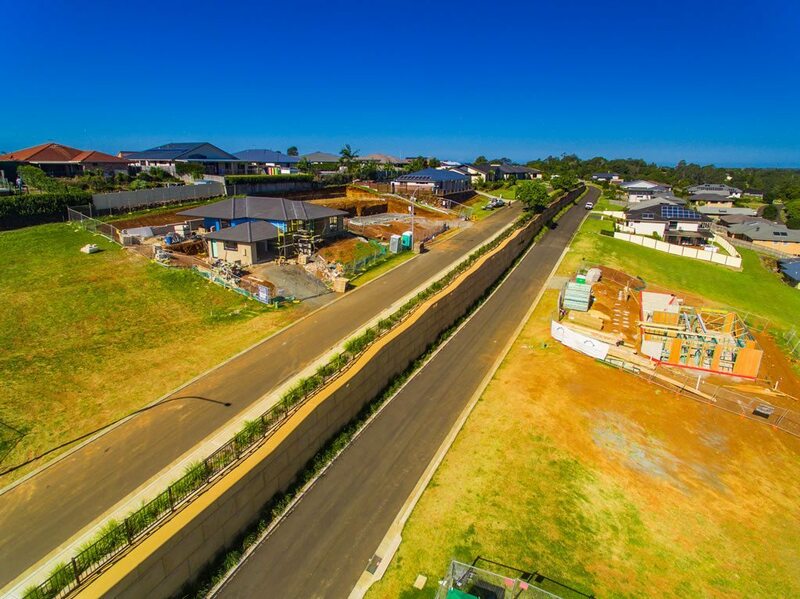 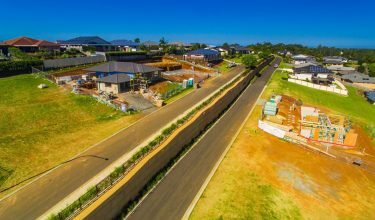 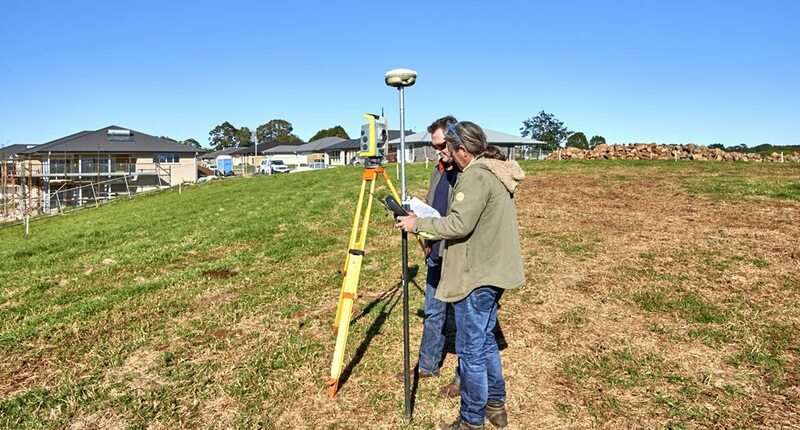 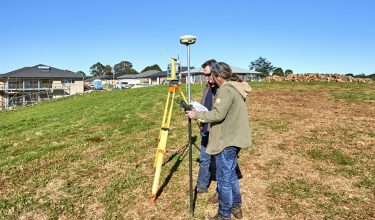 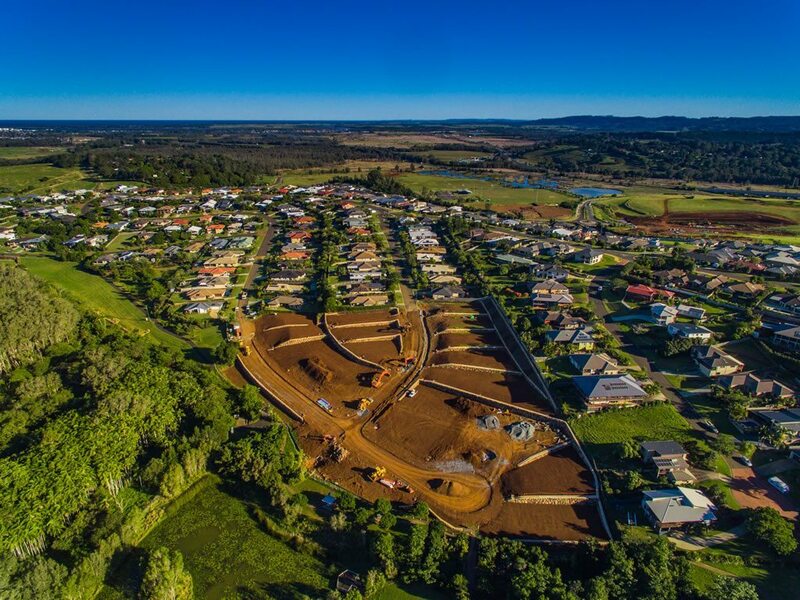 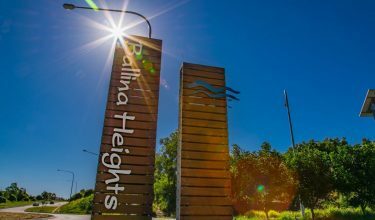 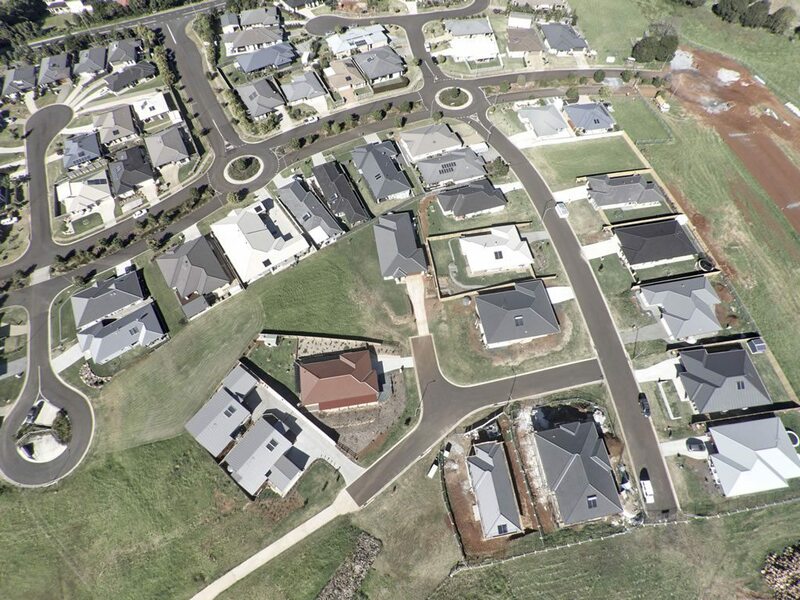 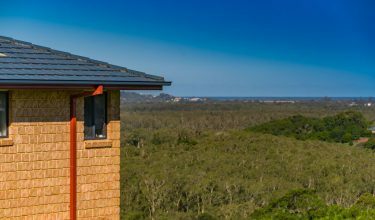 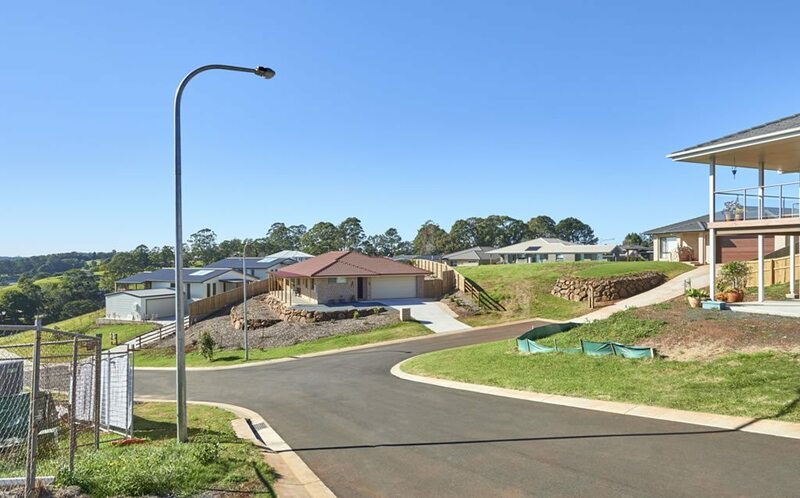 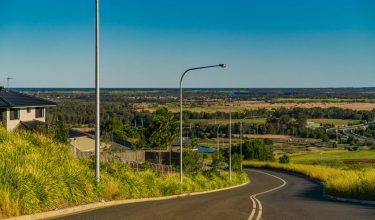 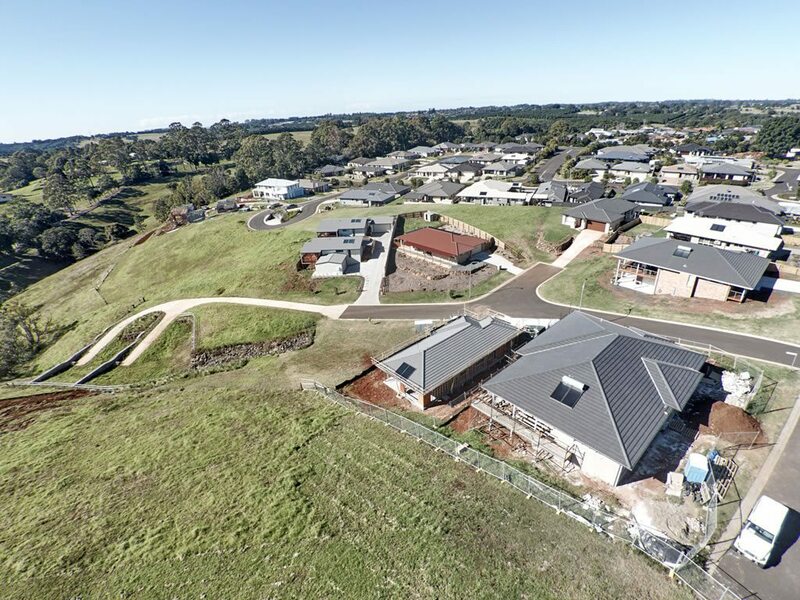 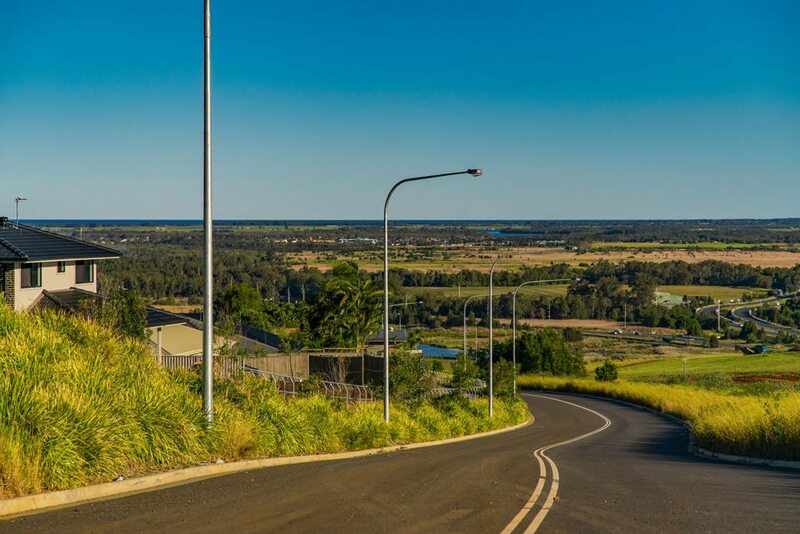 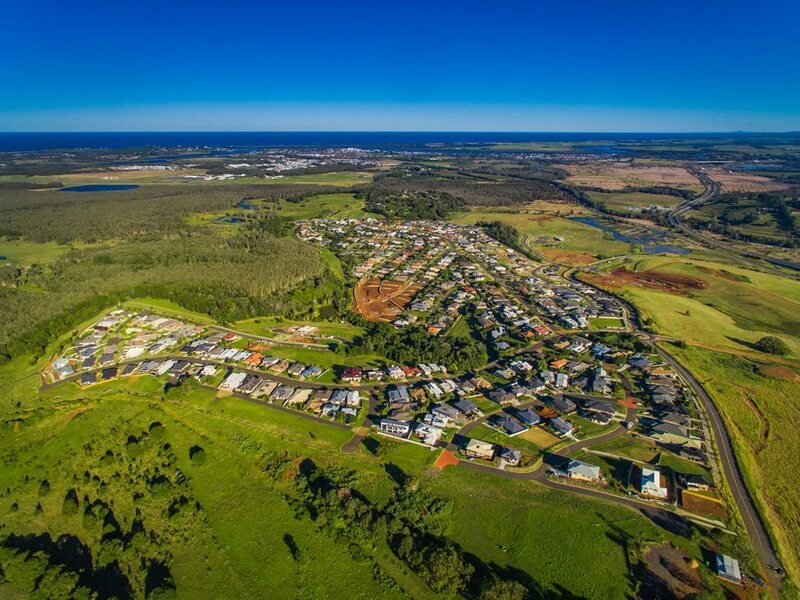 APP has been, and continue to be responsible for the planning, concept design, detailed design, contract administration and supervision of all works for the Ballina Heights Estate – a 750+ lot, 16 stage subdivision in Ballina Shire. 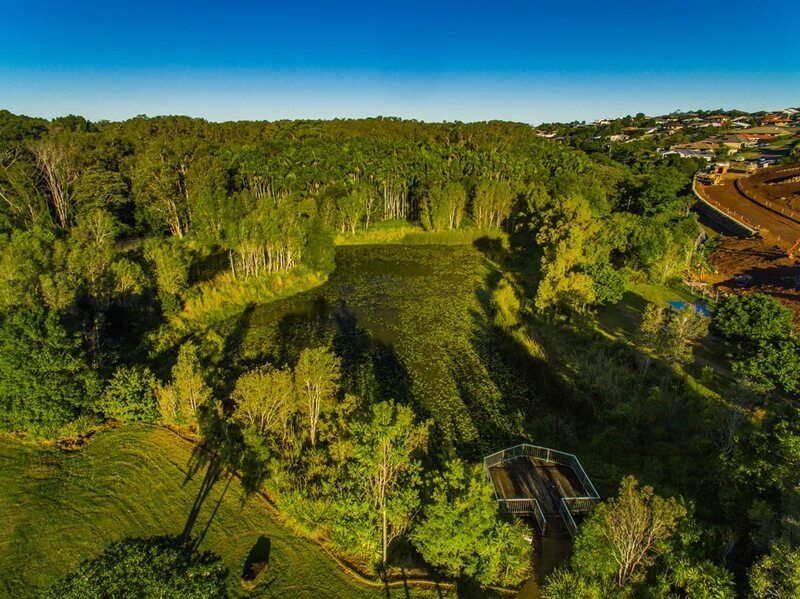 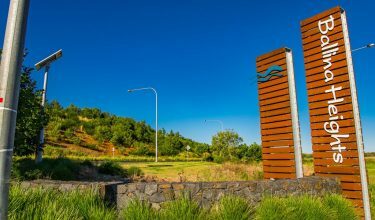 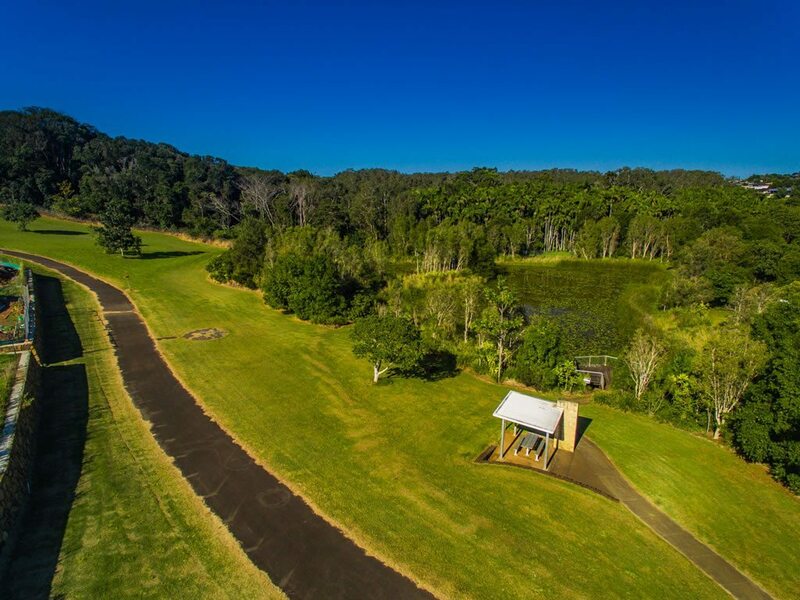 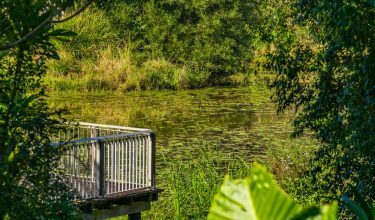 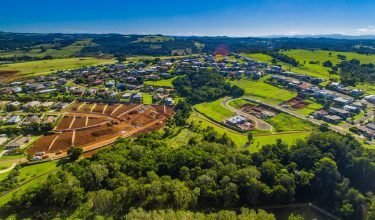 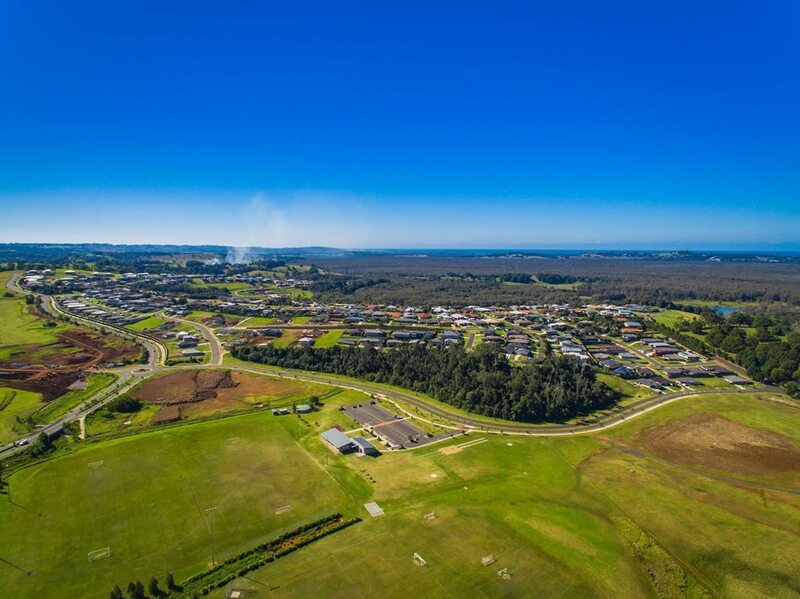 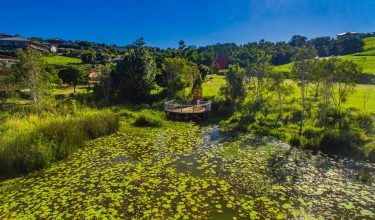 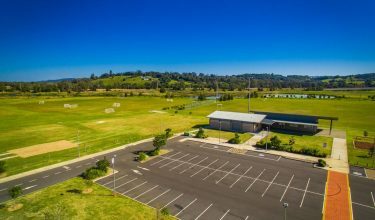 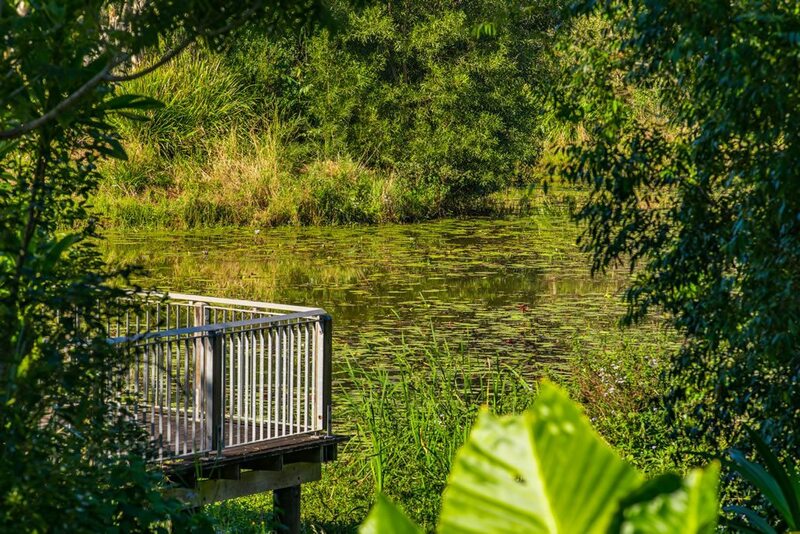 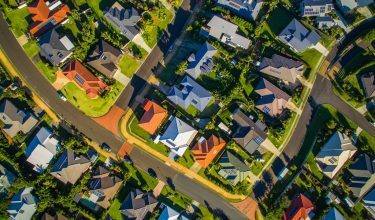 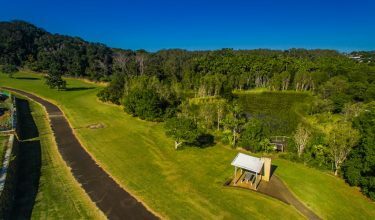 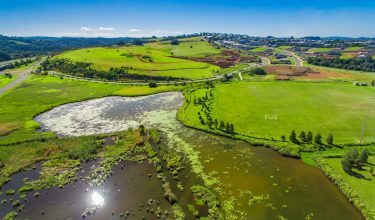 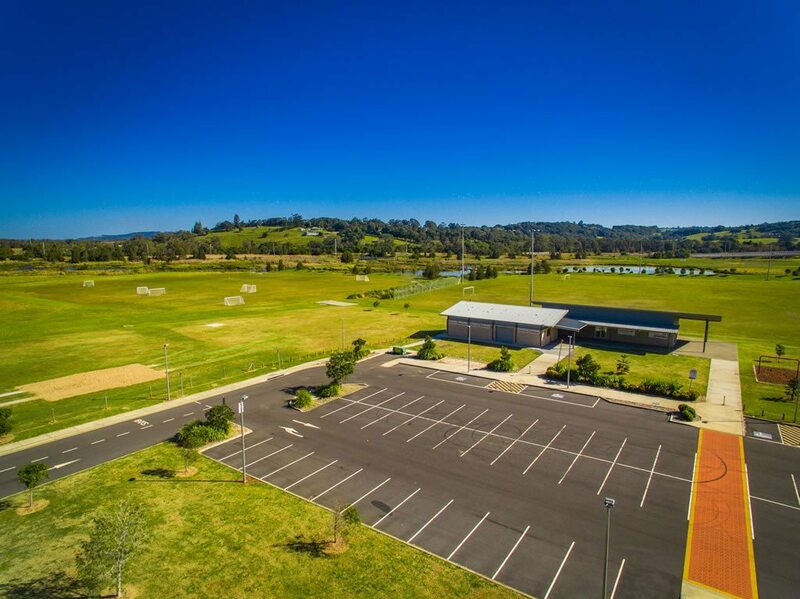 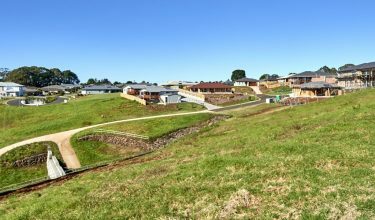 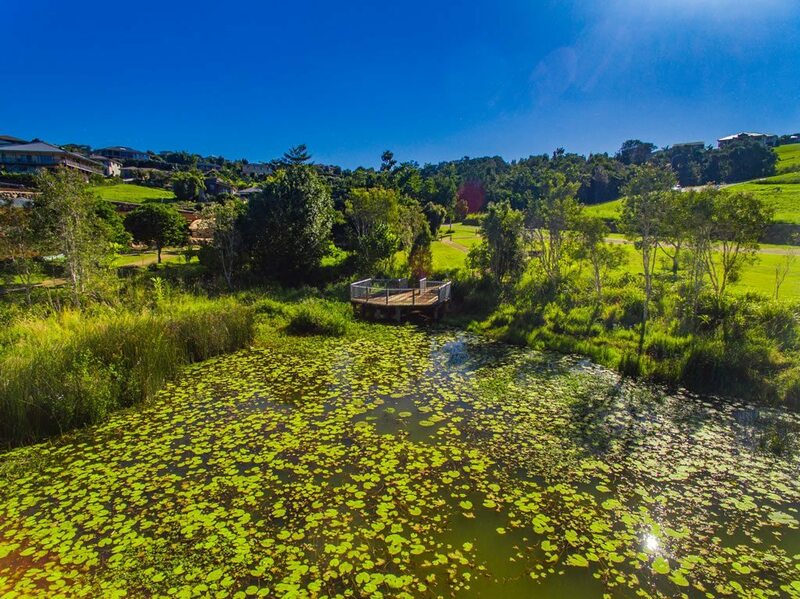 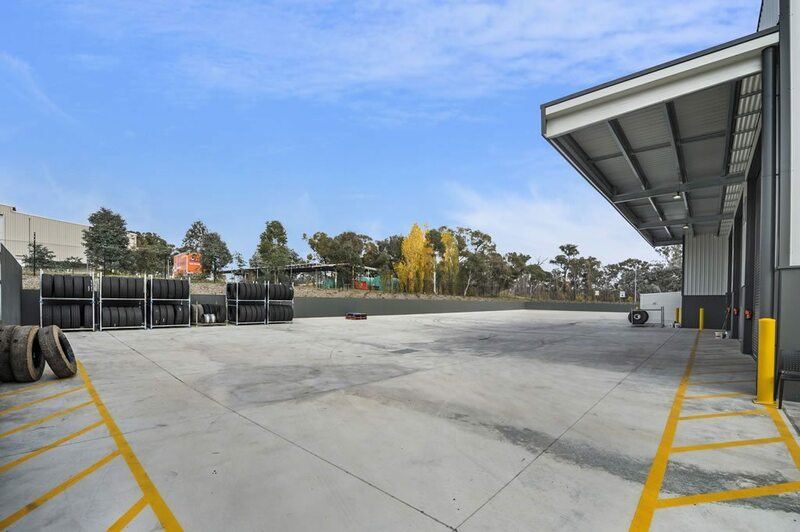 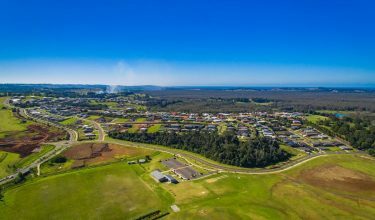 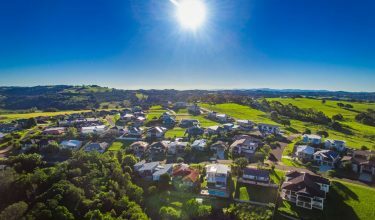 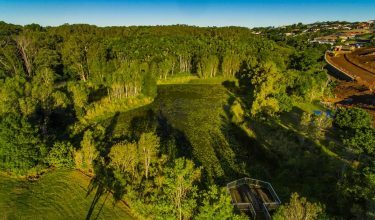 The estate includes residential, commercial, retirement and schooling areas along with an extensive cycleway linkage, sports fields and storm water quality control ponds. 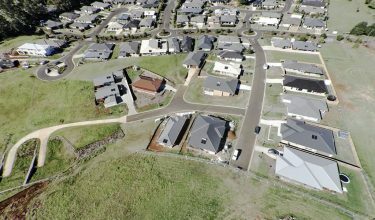 The client came to us needing a Master-planned Community Development run with an Integrated Project Management and Development Services team under the one roof. 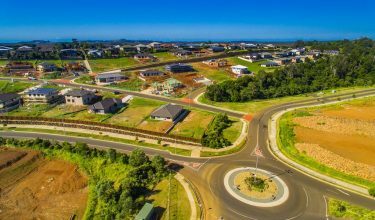 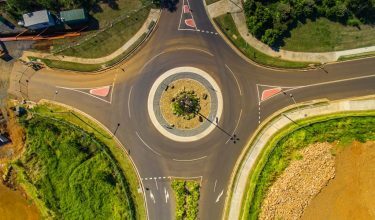 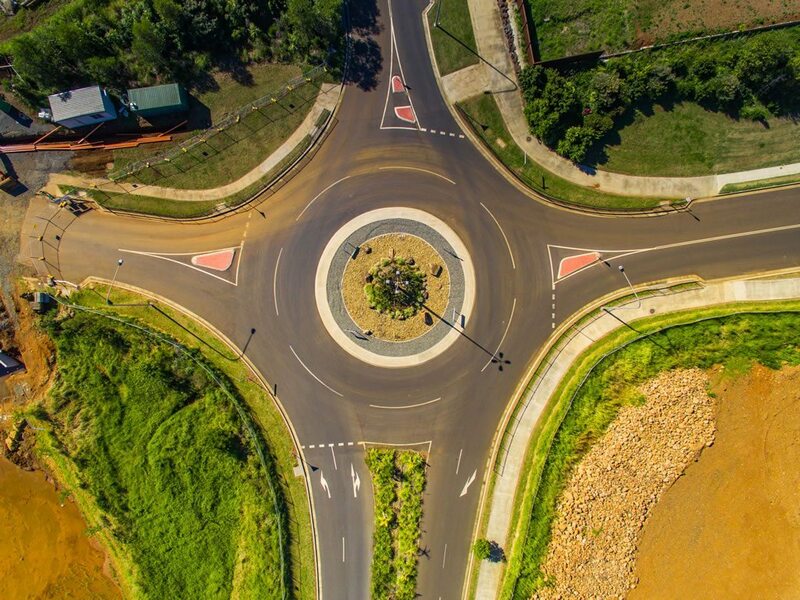 We overcame these challenges by working with Council and Contractors to develop efficient and project sympathetic infrastructure solutions for the range of problems encountered. 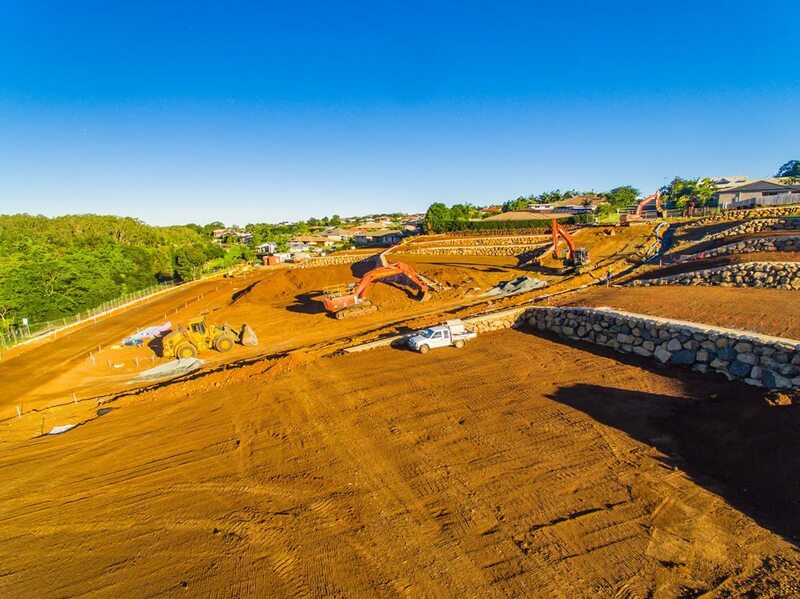 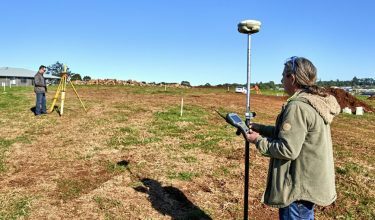 Specifically this has involved regular Council executive meetings, the Integrated Management System, resourcing and re-engineering earthworks materials for the 750,000 cubic metres of material moved around the site. 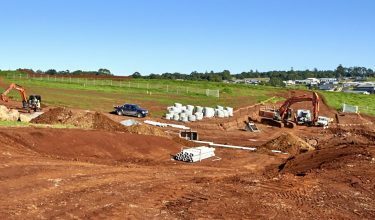 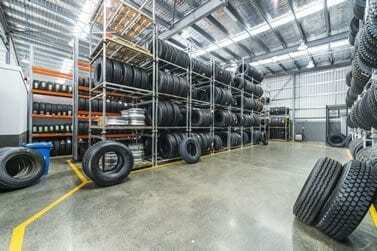 Only 50,000 cubic metres were imported. 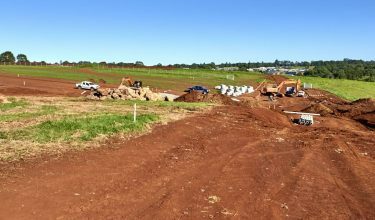 Project staging to control ground consolidation. 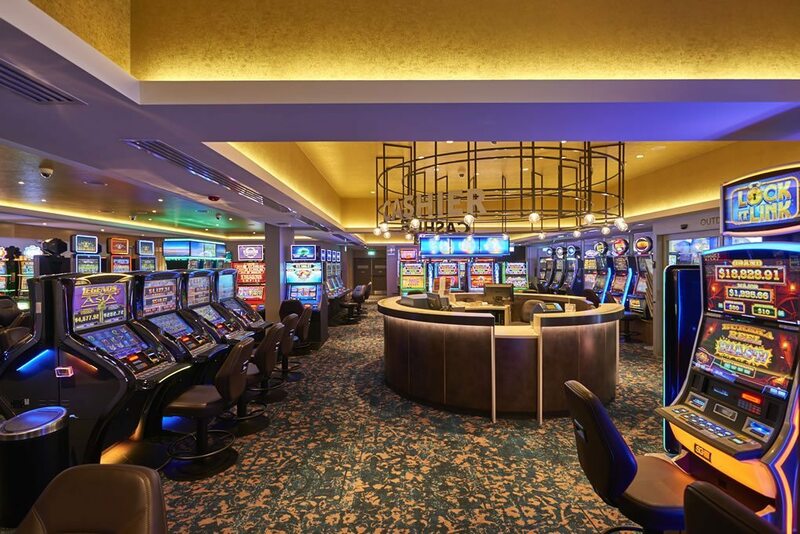 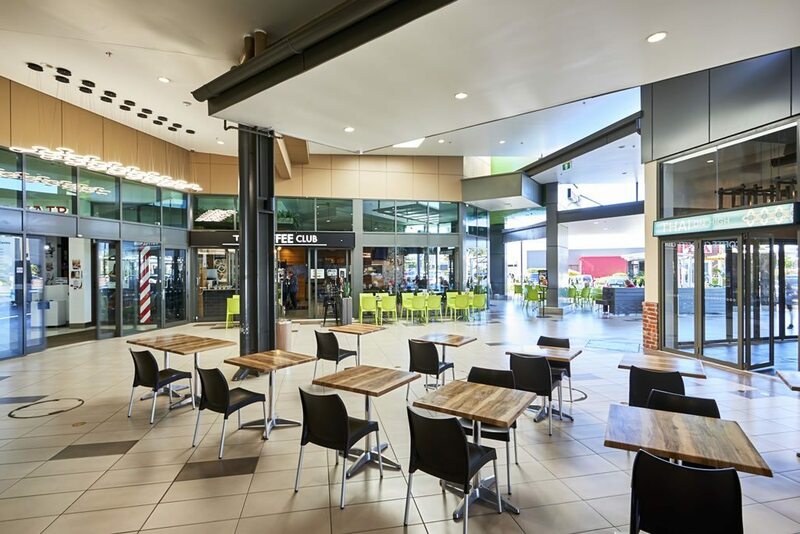 Ardill Payne & Partners are responsible for the Master Planning, Civil and Environmental Engineering, Survey and Integrated Project Management of the project. 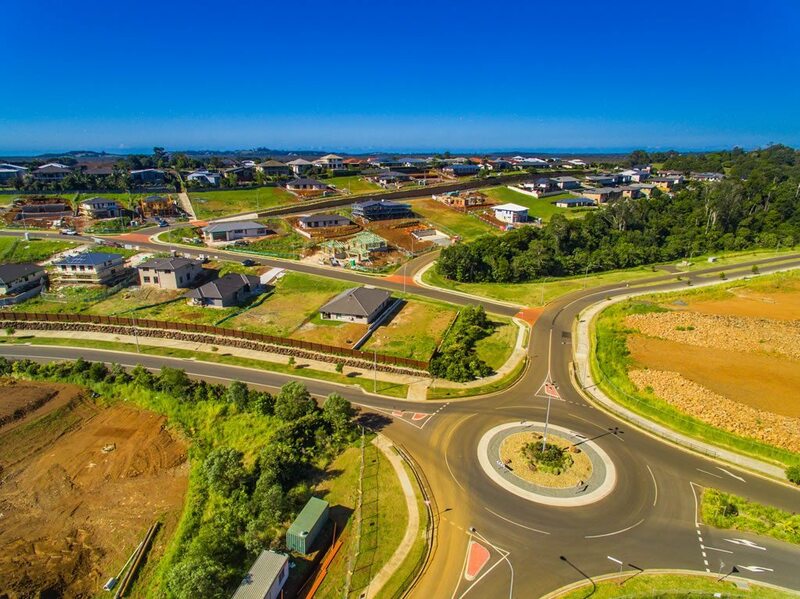 Long term Project Management of a new village involving complex management, engineering foundation and infrastructure solutions. 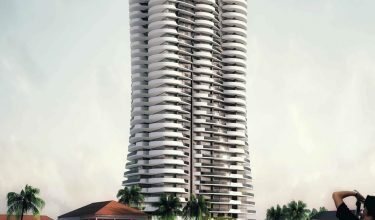 The project is ongoing with a 25-year timeframe to completion. 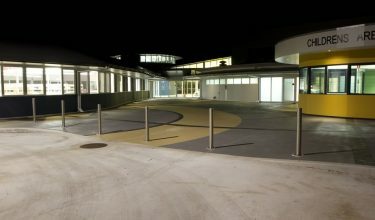 The budget for the project is $95m. 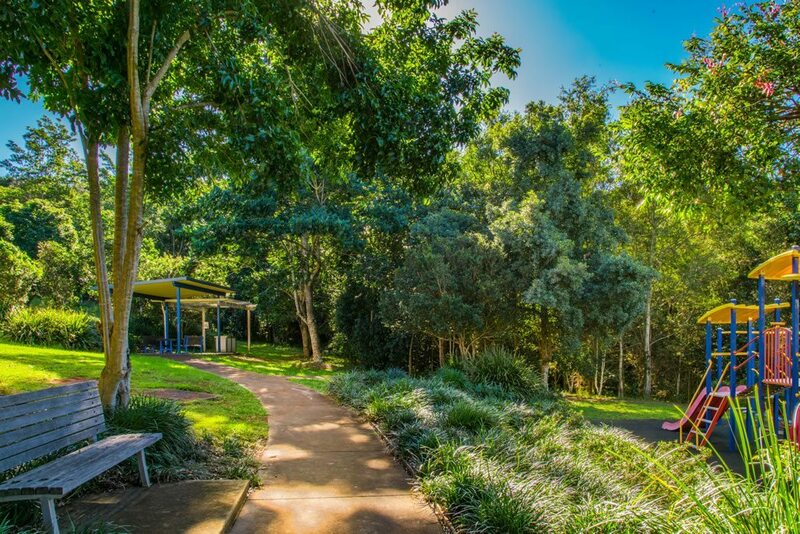 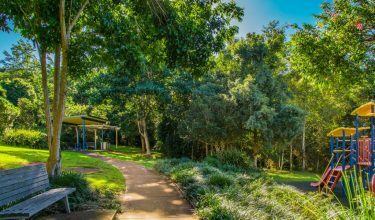 The Lennox Community Centre is located conveniently in the Lennox Head Village Centre. 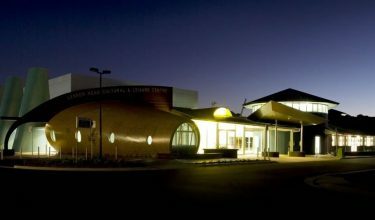 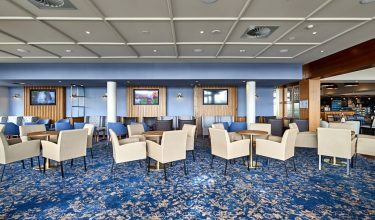 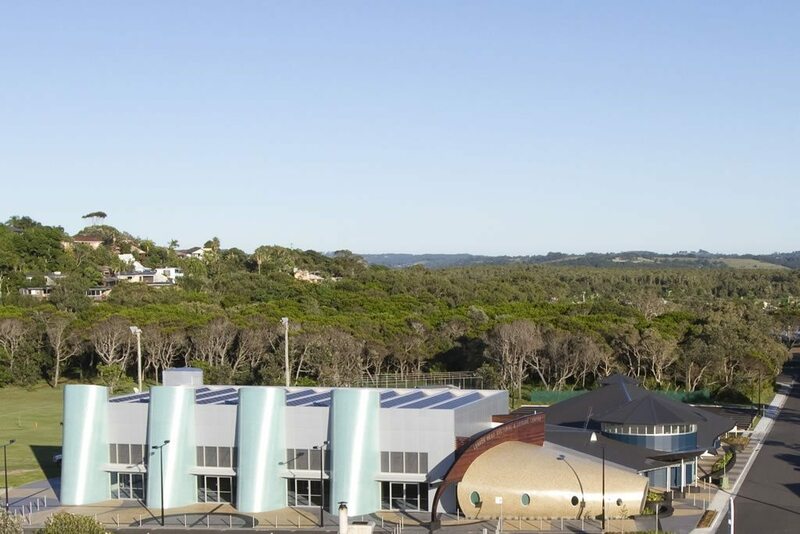 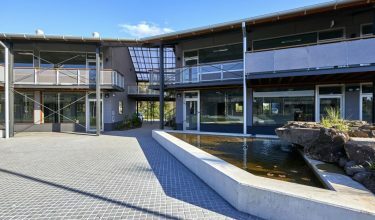 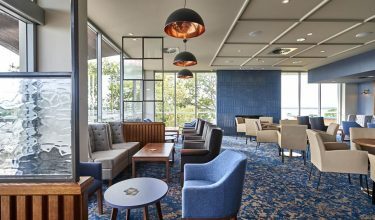 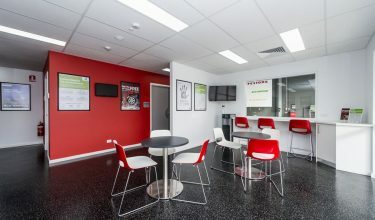 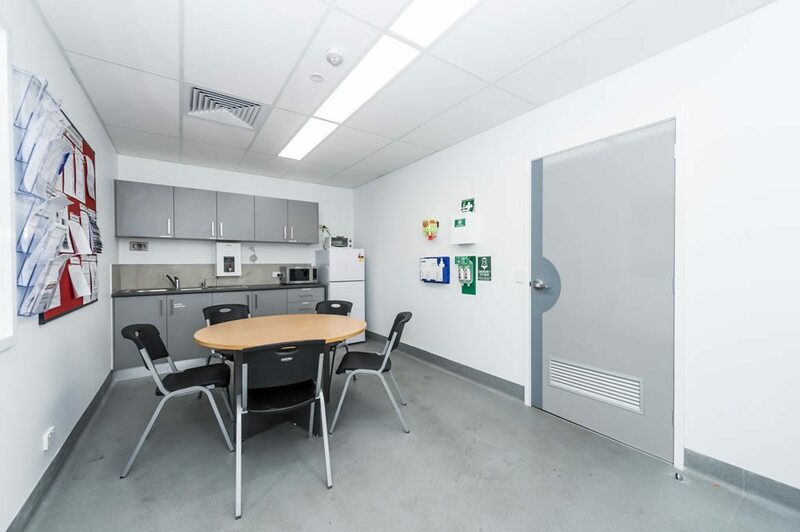 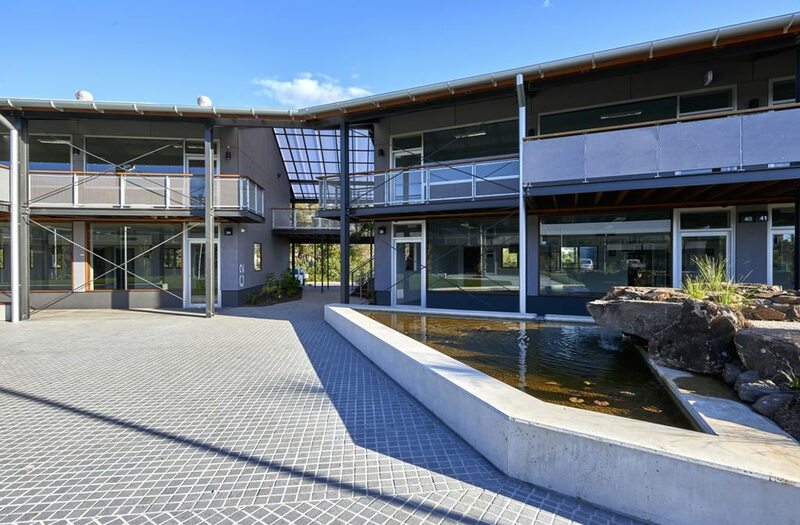 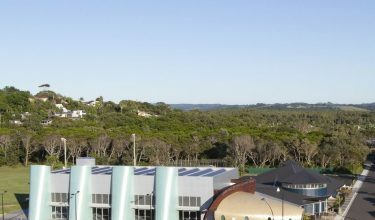 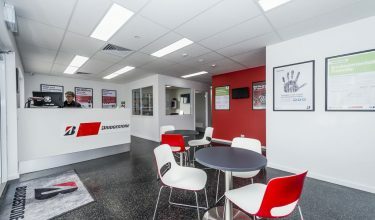 The Centre is home to the Lennox Head Library and has five meeting spaces, a dedicated children’s area and a multi-use auditorium, suitable for large scale community events and sports use. 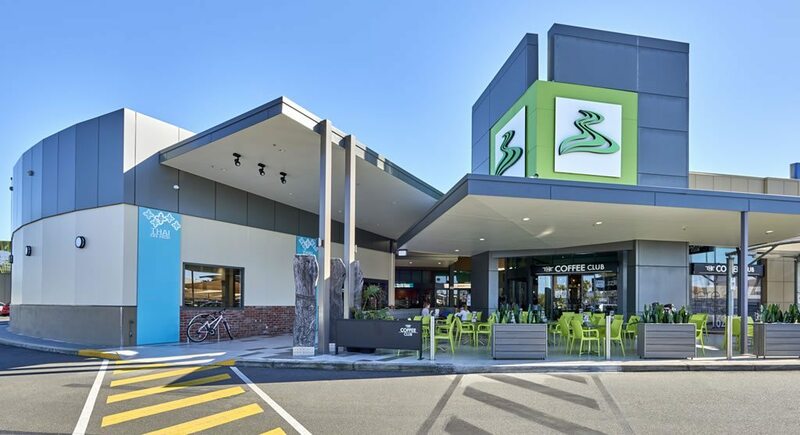 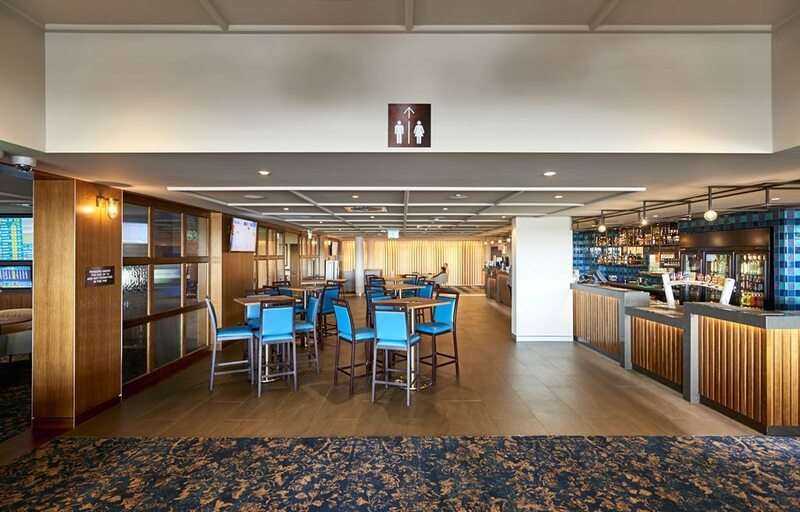 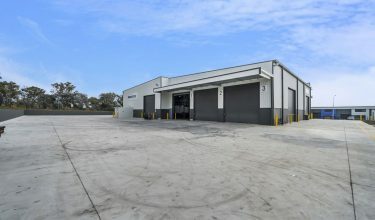 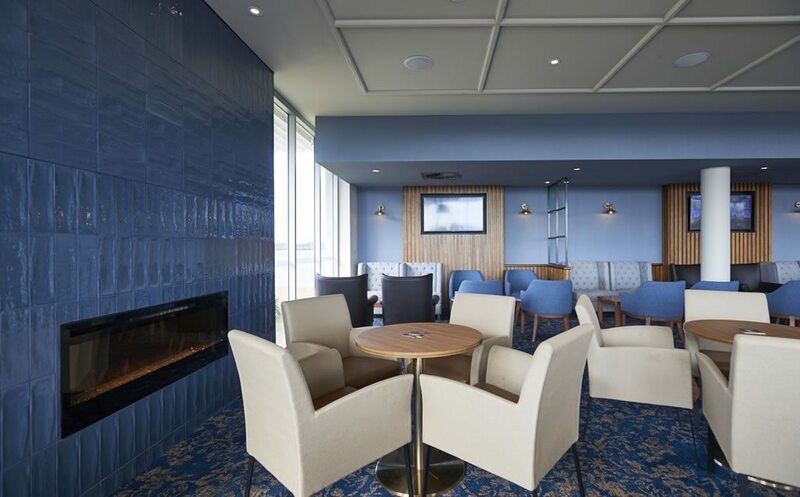 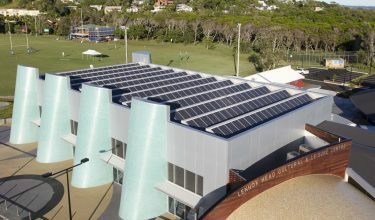 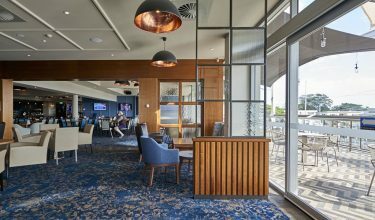 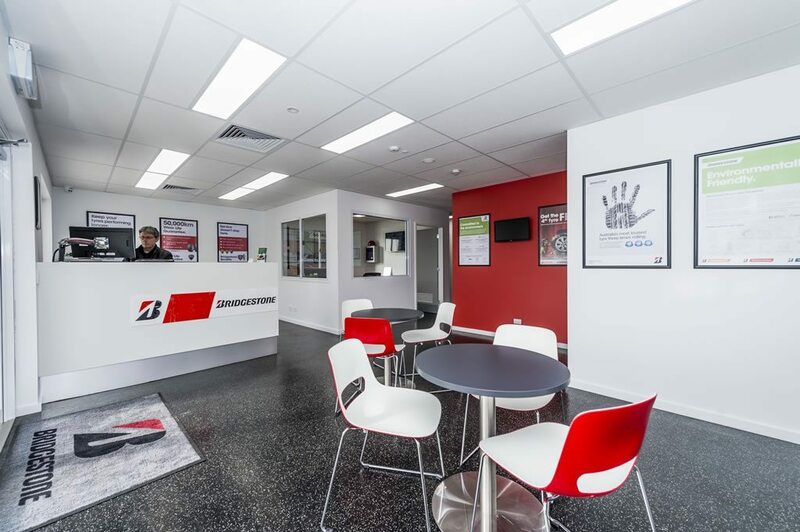 The client came to us wanting a Community Focus Point providing sports and library facilities, presented as a highly sculptured building to enhance the built environment of Lennox Head. 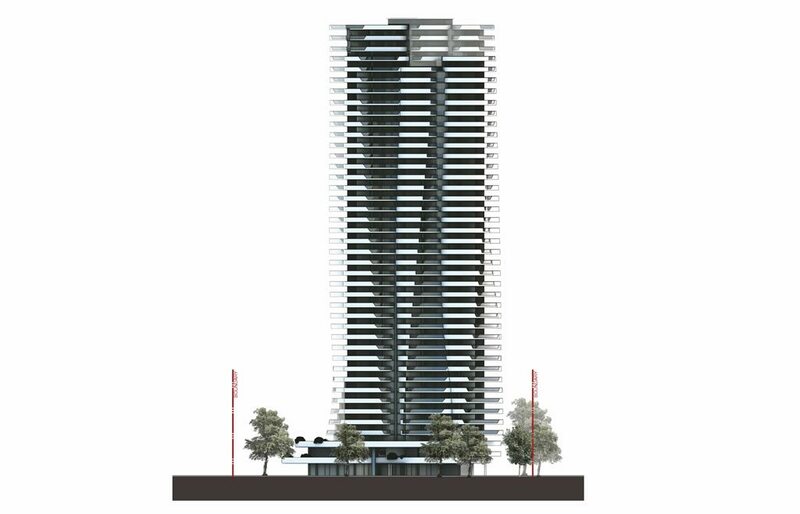 The key challenges we could see for this project were the complex building shapes and incorporation of building services within these shapes. 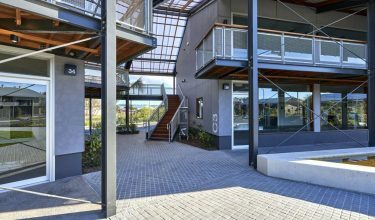 We overcame these challenges by detailed design and documentation skills and close working relationship with the builder. 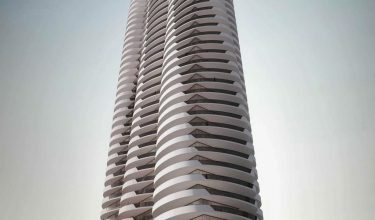 The project was completed in 2 years. 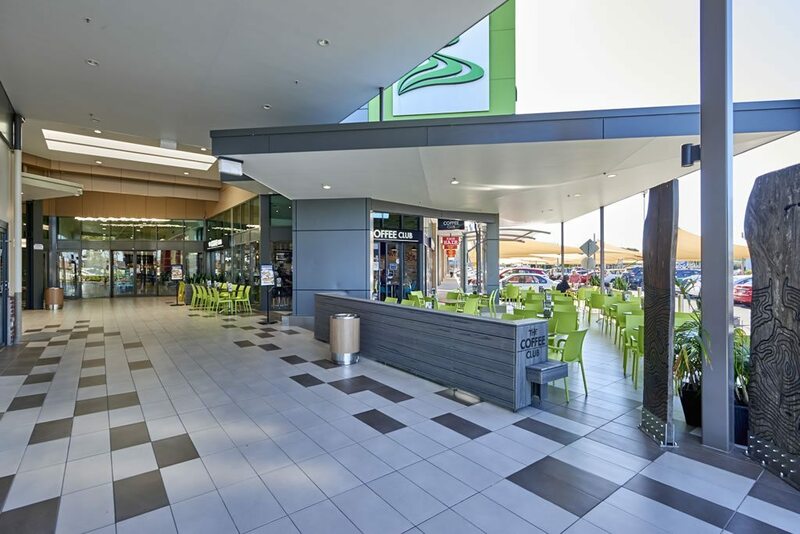 Ardill Payne & Partners undertook the Structural & Civil Design of the project. 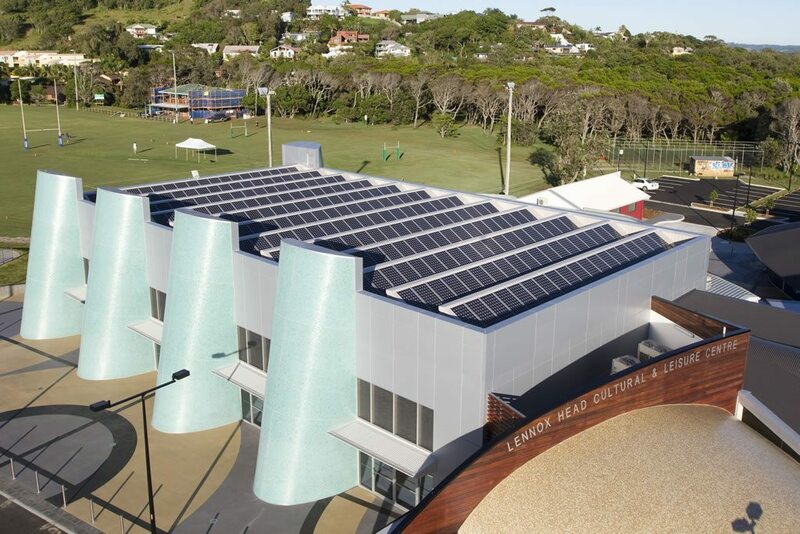 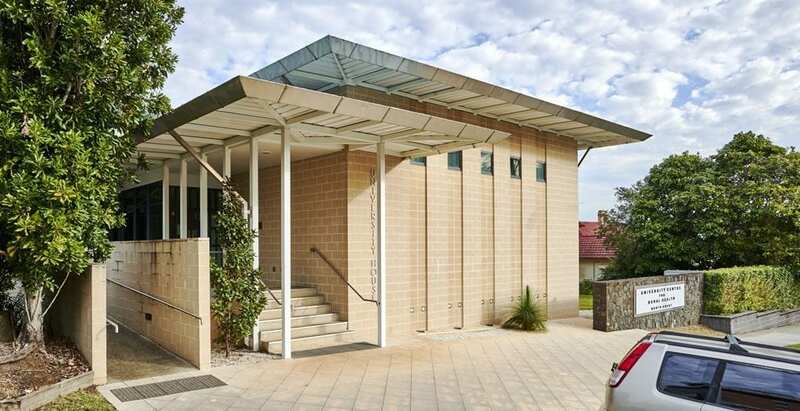 The original concept design for the Lennox Head Community Centre was completed by Greenway Hirst Page Architects. 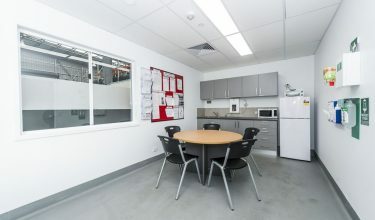 Archimages Architecture provided construction documentation and contract administration services. 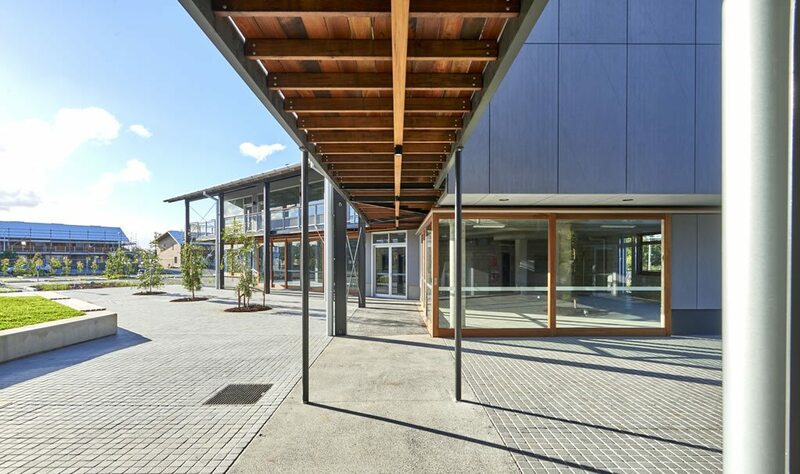 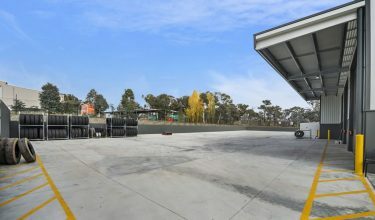 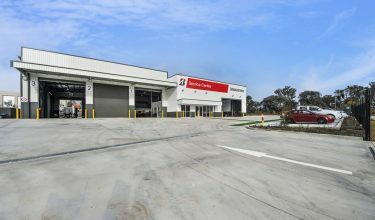 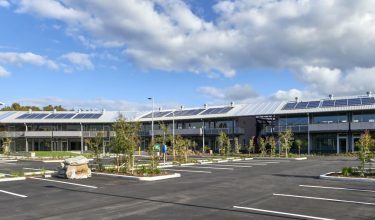 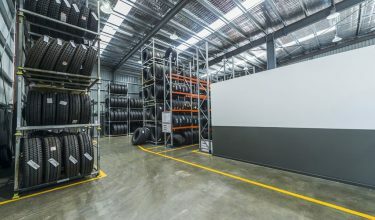 APP completed the detailed design and documentation for the Community Centre, including access roads, car parking areas, storm water management and certification. 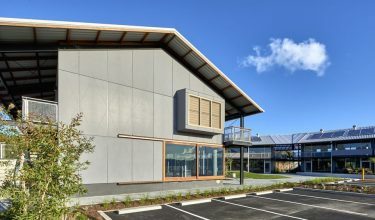 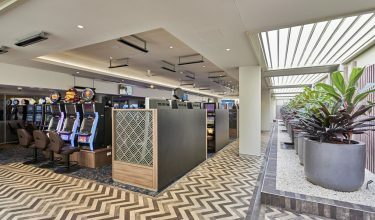 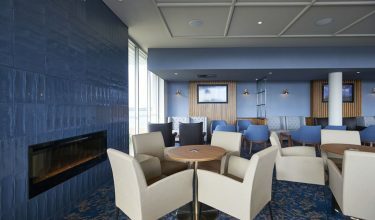 Original concept design completed by Greenway Hirst Page Architects, and Archimages Architecture provided construction documentation and contract administration services. 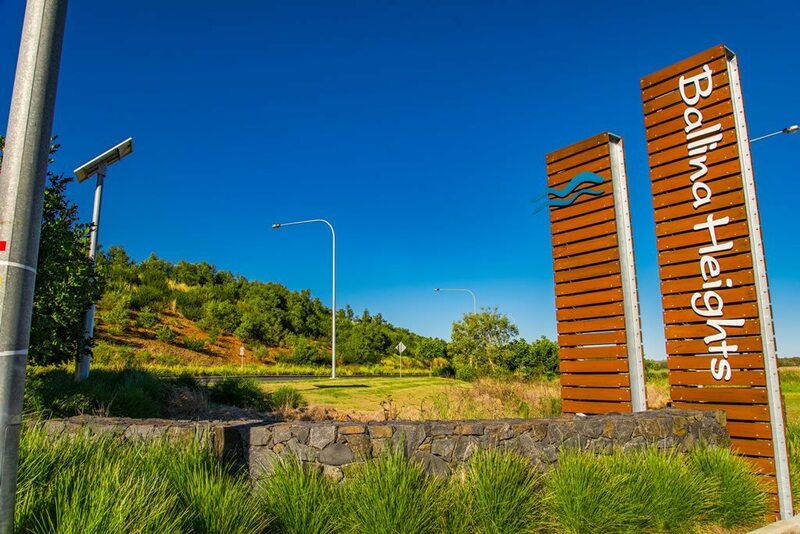 The Habitat development is a pioneer proposition within the local region. 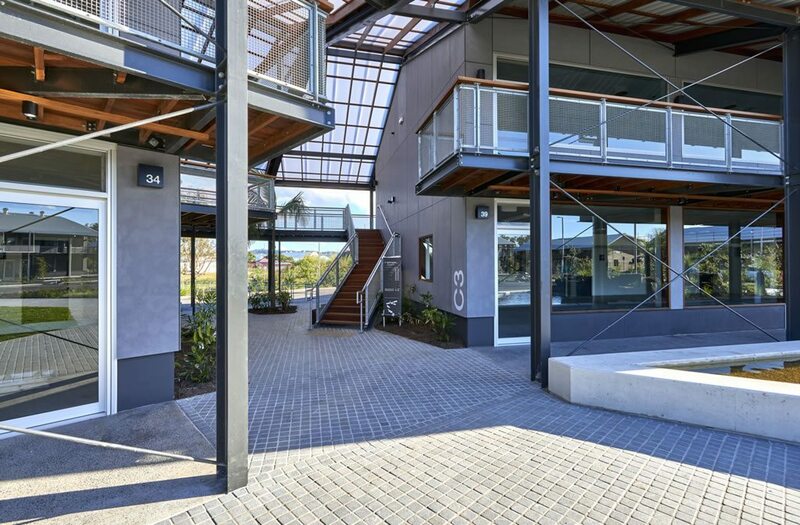 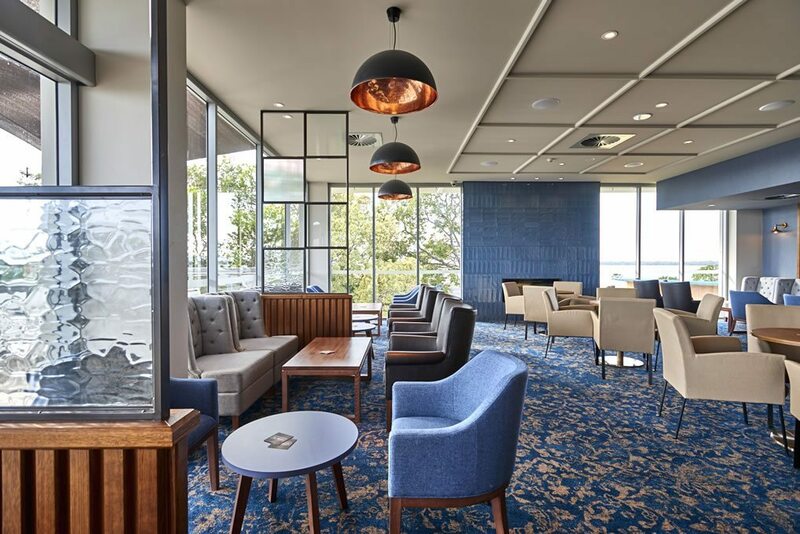 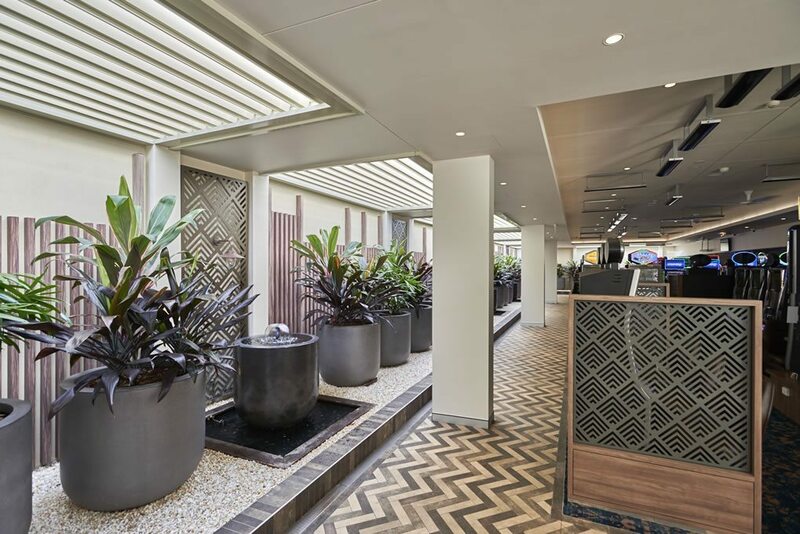 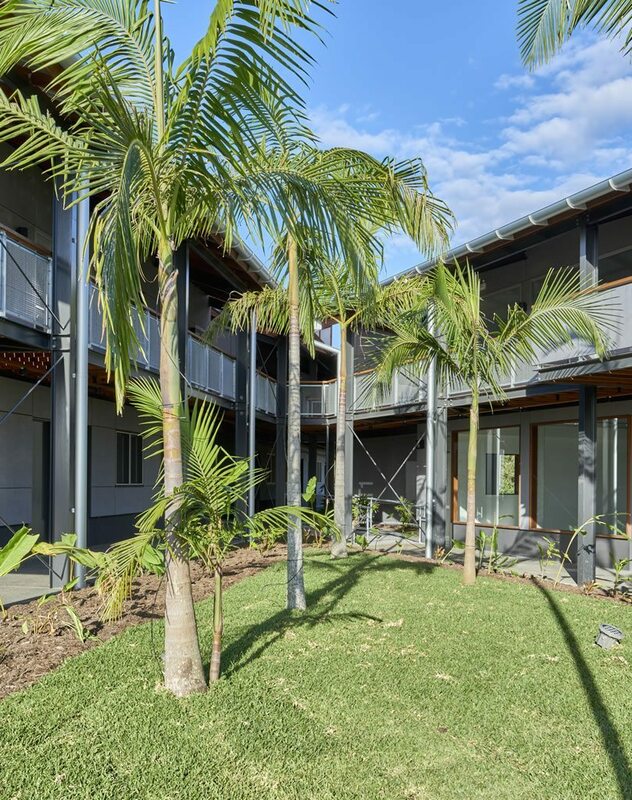 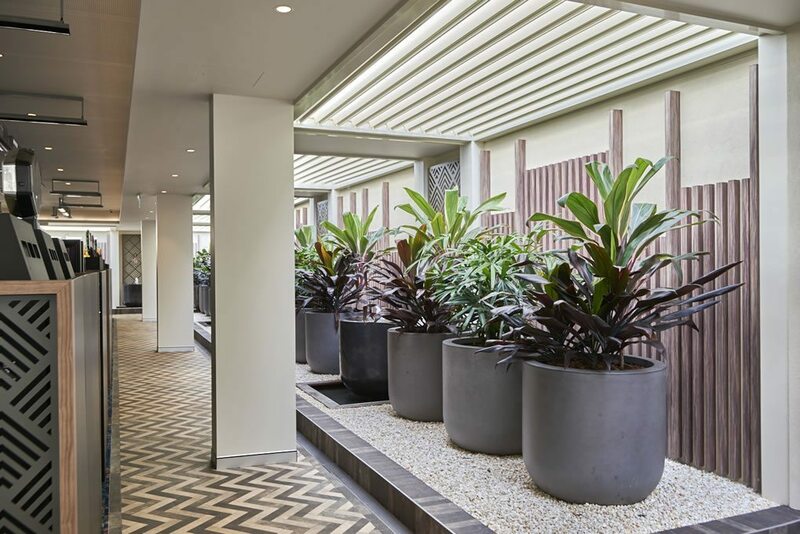 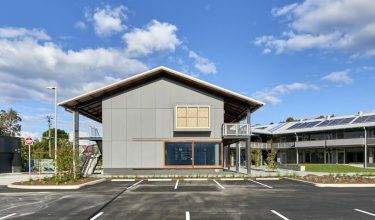 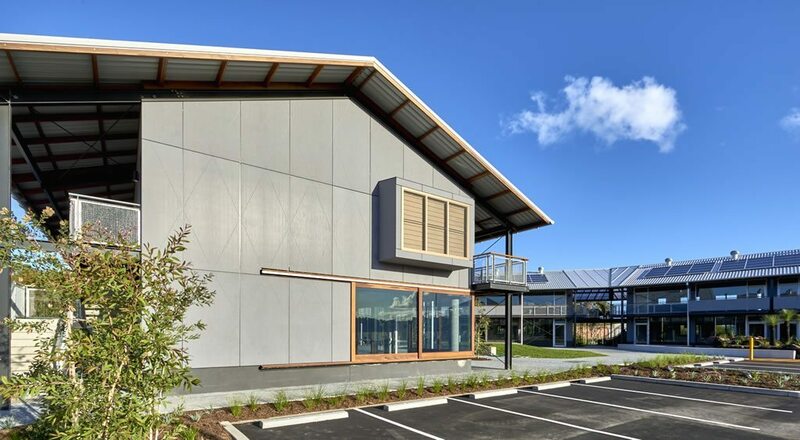 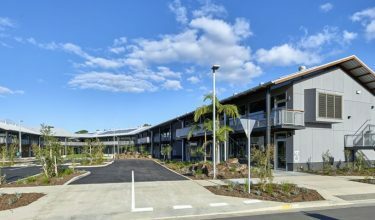 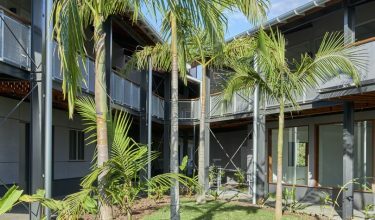 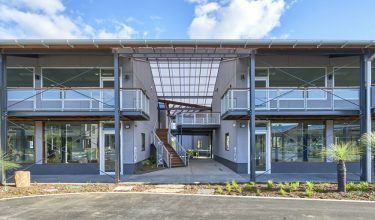 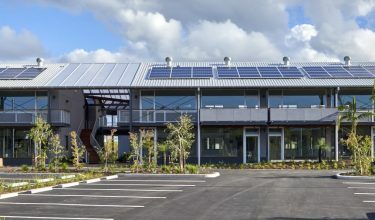 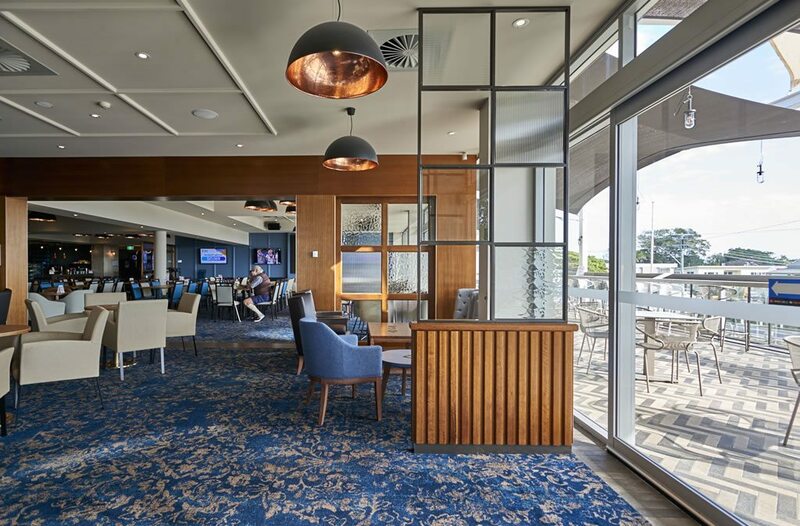 Located in Bayshore Drive, Byron Bay, this mixed use development combines architecturally designed live-work housing, commercial and community facilities for those looking to achieve a modern work/life balance. 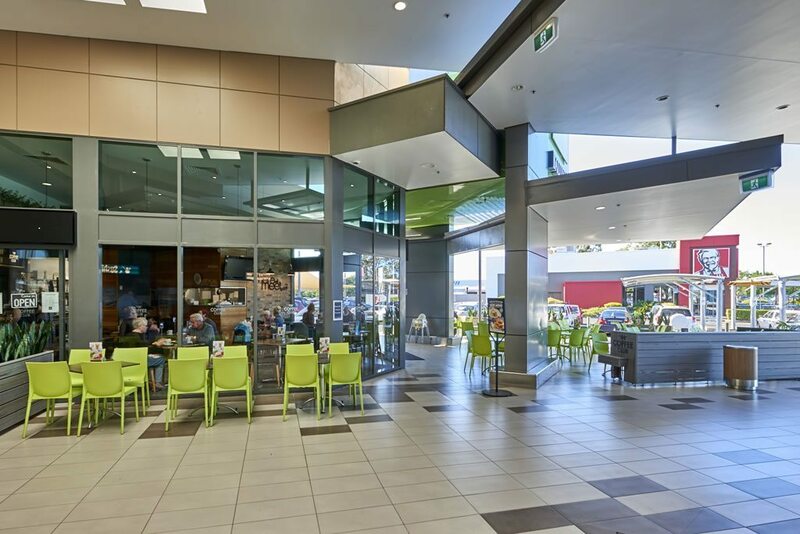 The client came to us needing high level Structural and Civil Engineering Design to address complex infrastructure, servicing problems and value engineered solutions for the buildings. 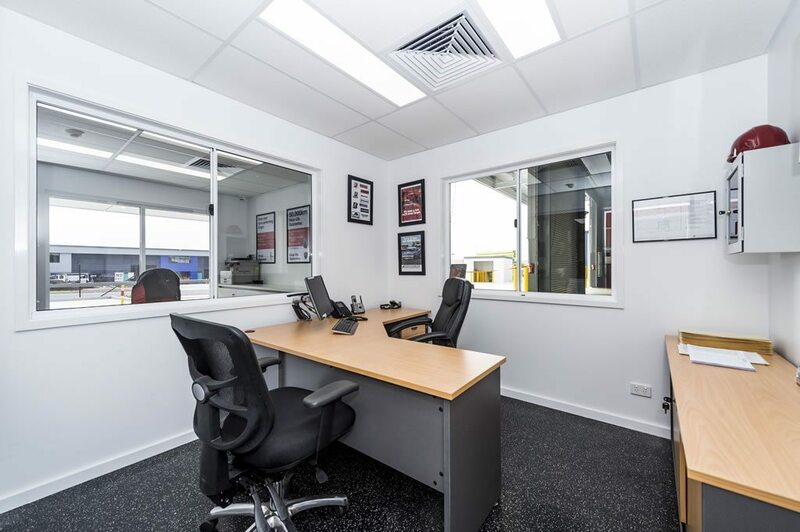 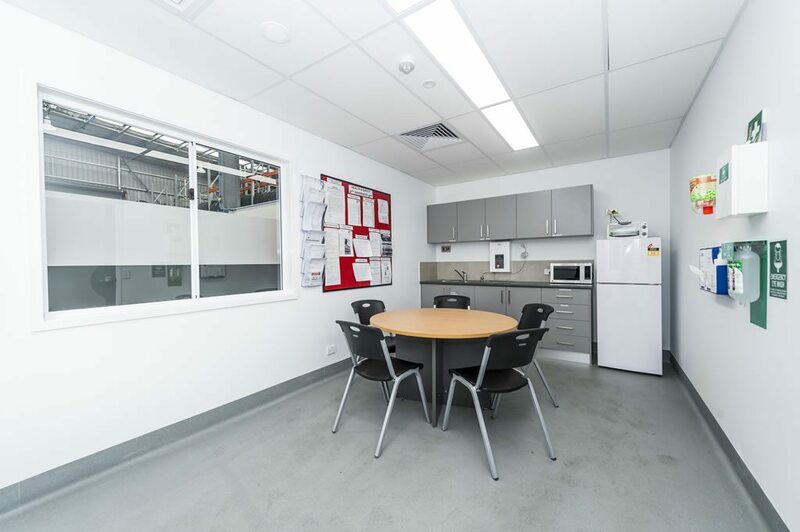 The brief was expanded to provide on-site construction and overall Project Management. 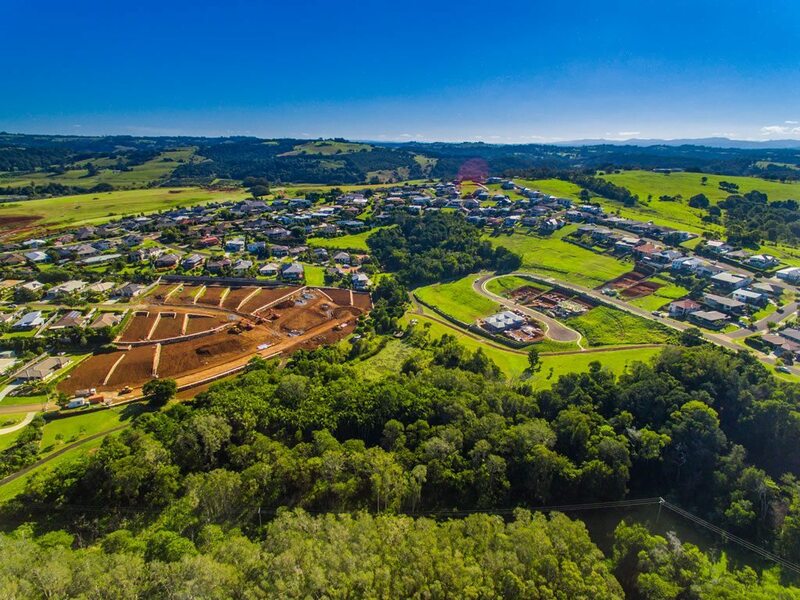 As Project Managers, the key challenges we could see for this project were to provide a cost effective filling and ground preparation solution, and then to control a changing product and architectural solution for a new residential and commercial market, providing the first optic fibre and formal live-work precinct in Byron Bay. 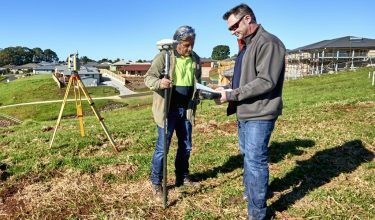 We overcame these design challenges by detailed surface and subsurface water modelling to resolve storm water and undertaking the ground works on a day works arrangement, and supervising the works directly in a risk sharing contract. 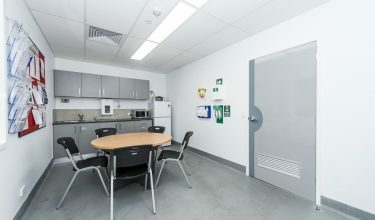 Project Management solutions involved an Integrated project management team being embedded with the design and construction team. 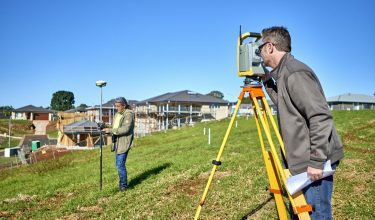 APP’s role as project managers was multi-faceted. 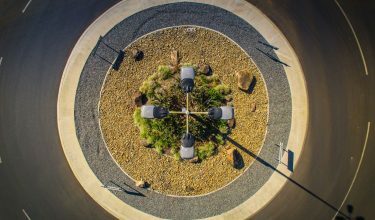 Our conventional PM role involved coordinating approvals and design, calling tenders and supervising construction. The developers of Habitat engaged with APP’s suggestion to use the integrated management system and value engineering process to risk share, defuse commercial conflict and obtain maximum value from building and designers shared input. 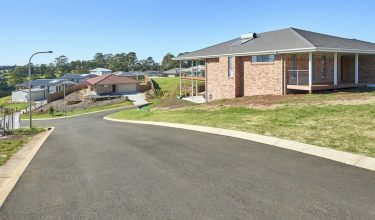 Results to date have been excellent. 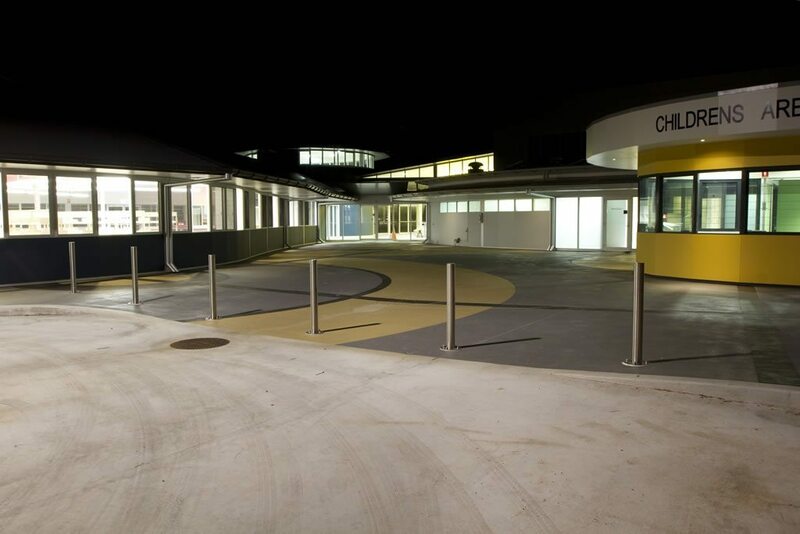 Civil works involved $7.5m of detailed infrastructure work and was constructed on time, and $0.5m under budget. 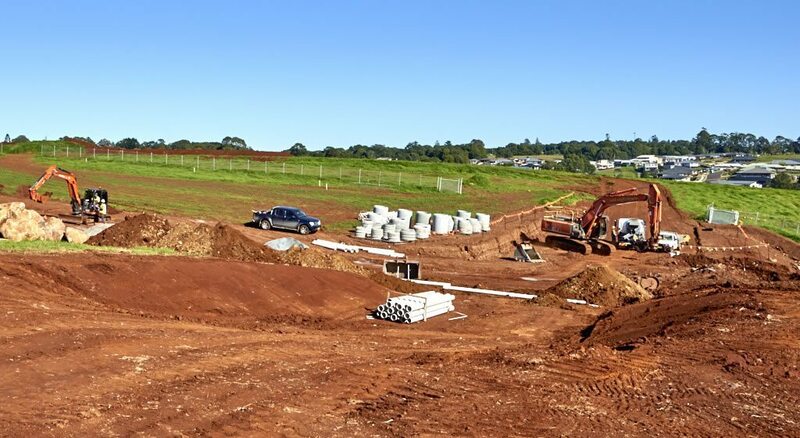 Building works are currently under way. 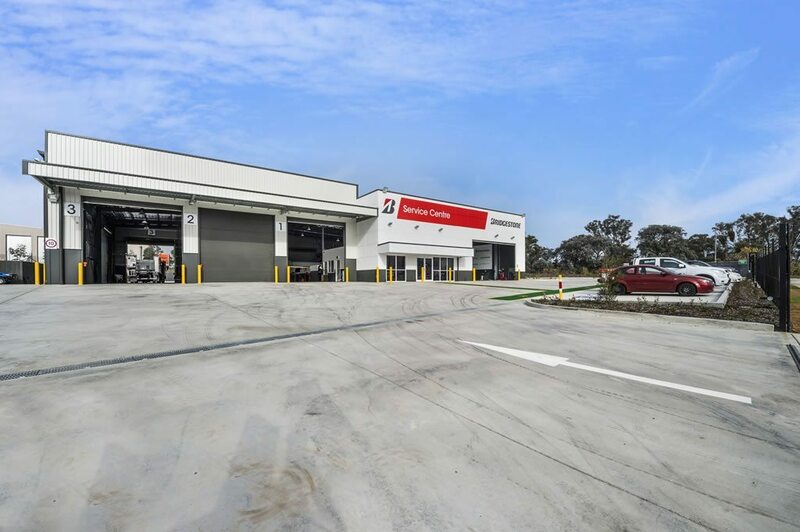 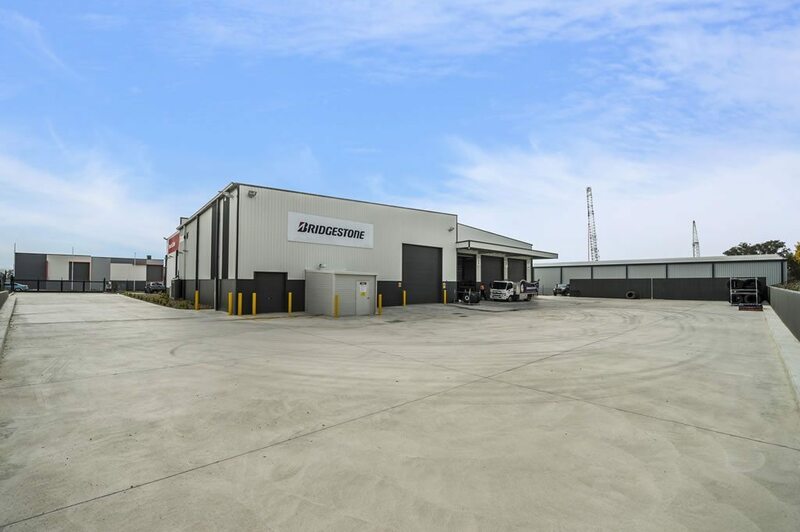 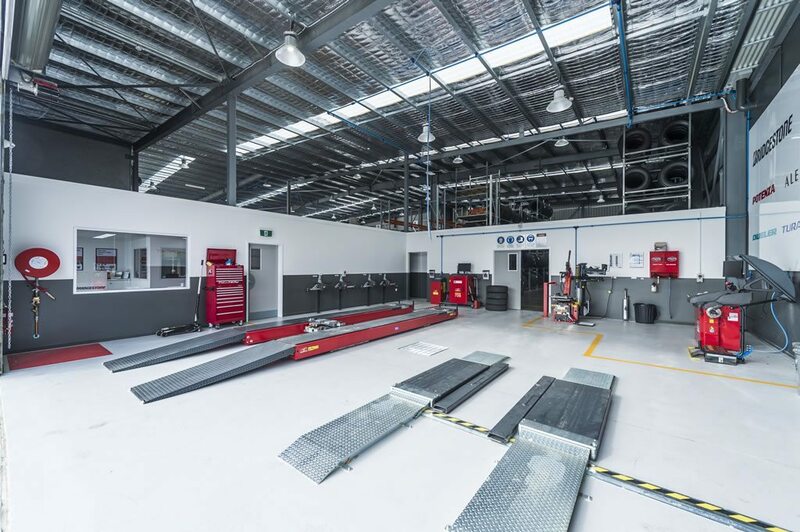 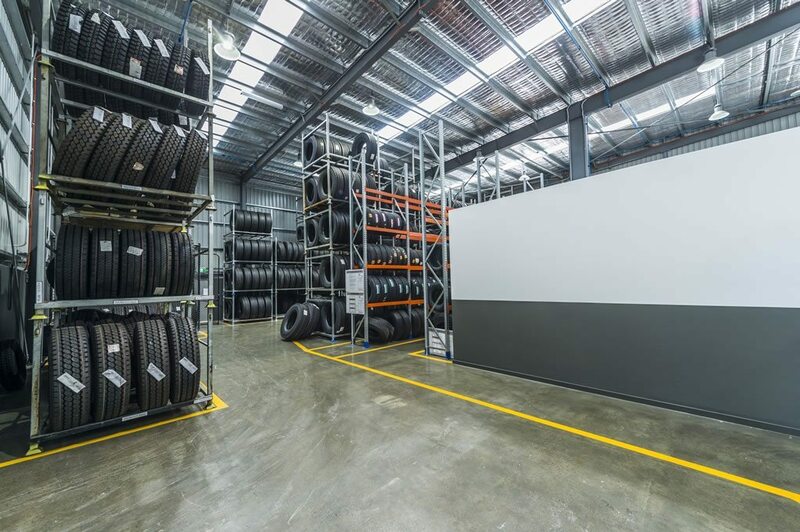 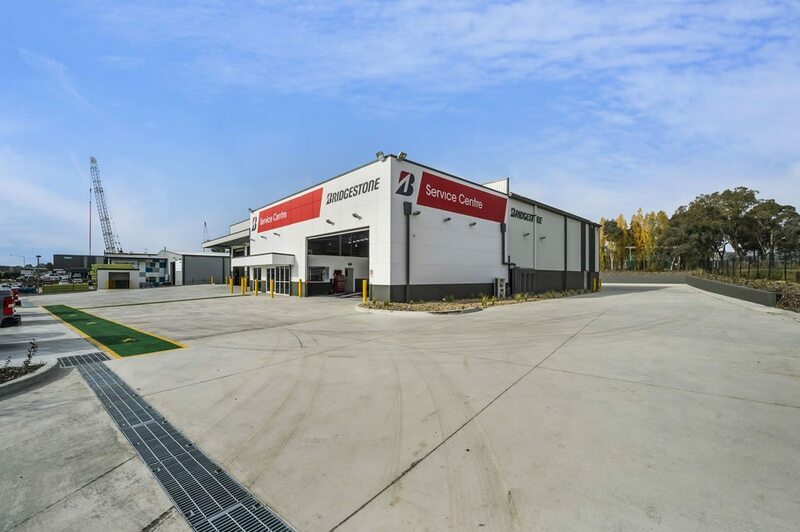 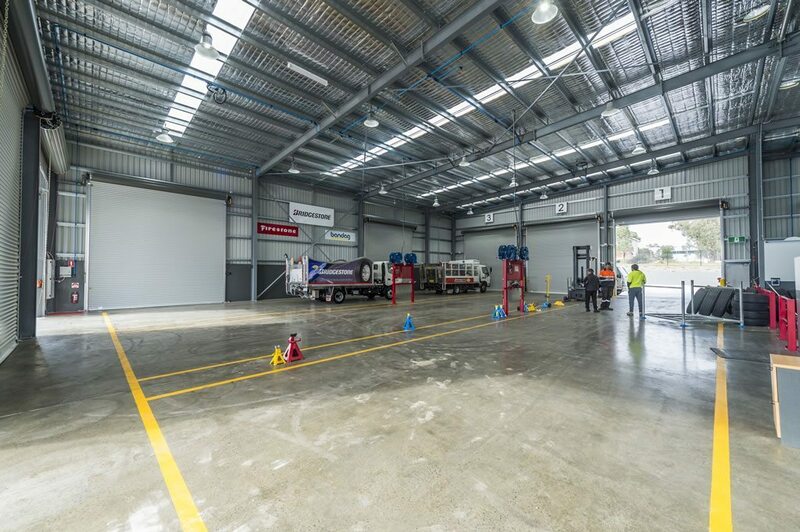 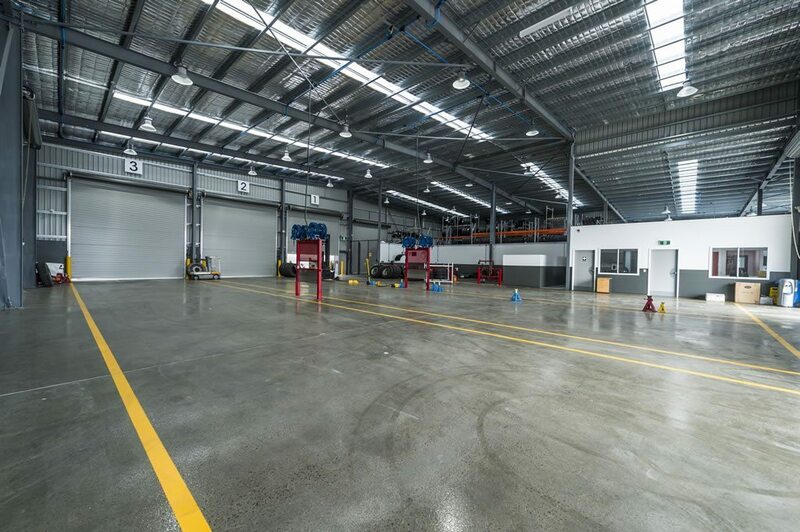 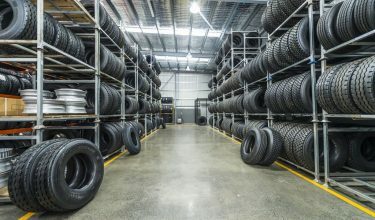 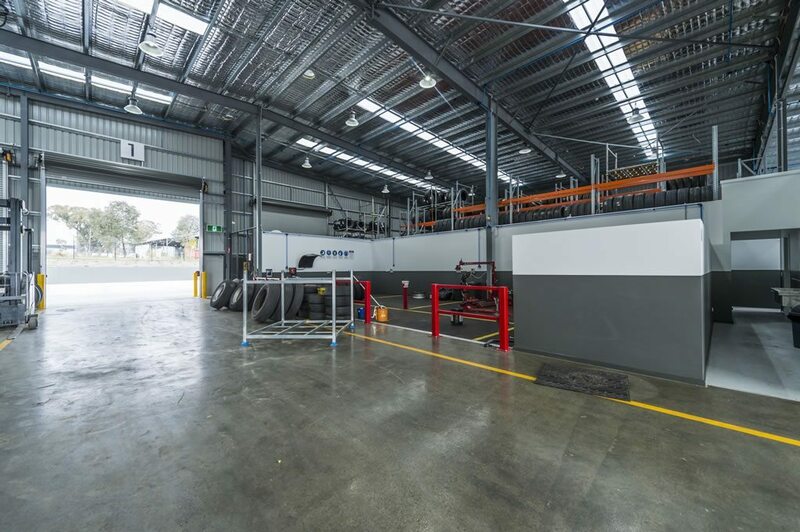 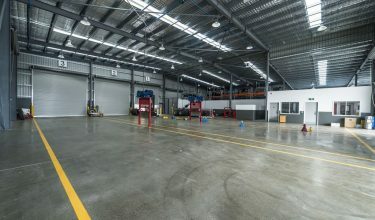 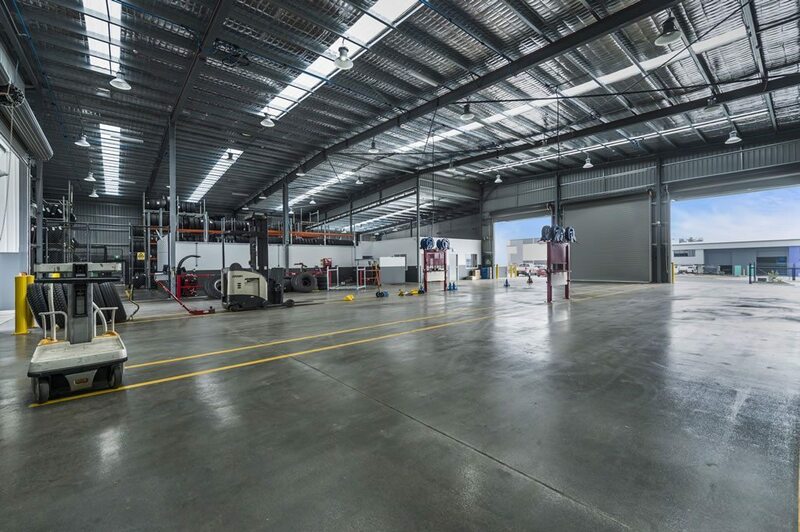 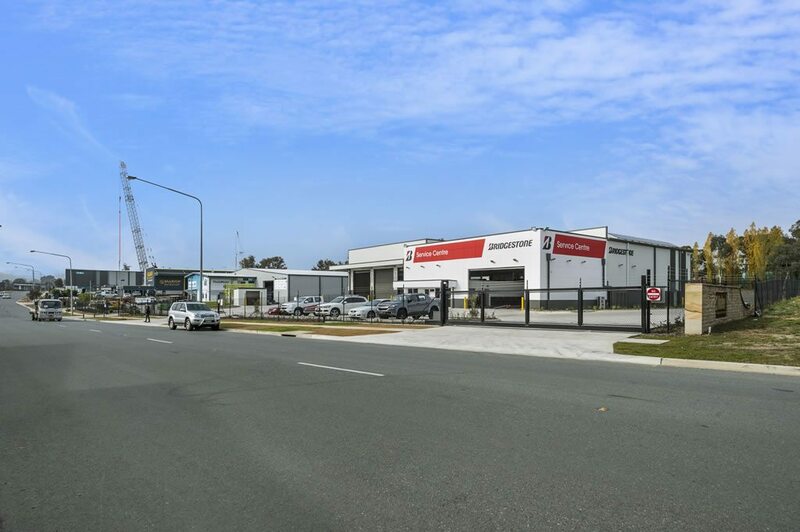 At completion the building component will consist of a $12m commercial precinct and $70m domestic and live-work areas. 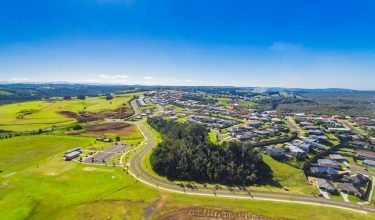 The project has been running since 2014 and will be completed in 2020. 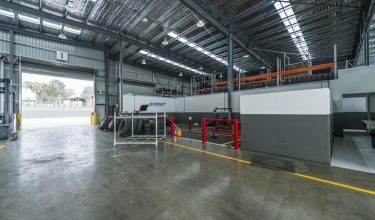 The key parties involved with this project are Agcorp, DFJ, and MDA. 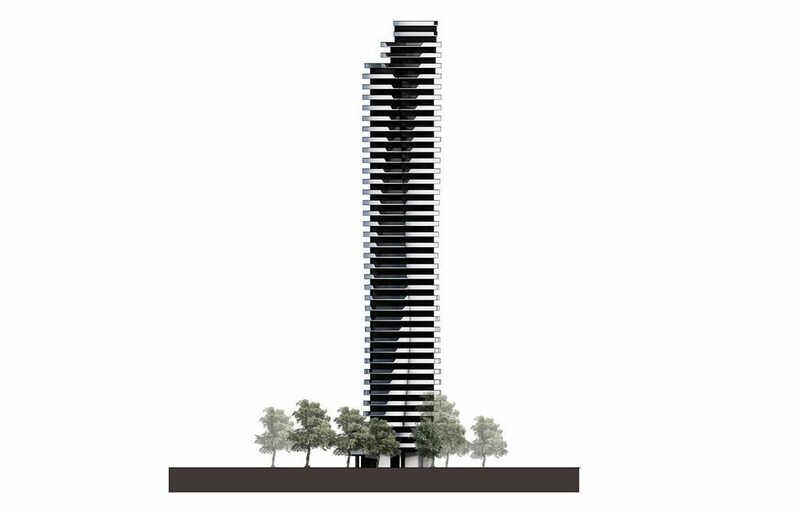 The budget for this project is $100m. 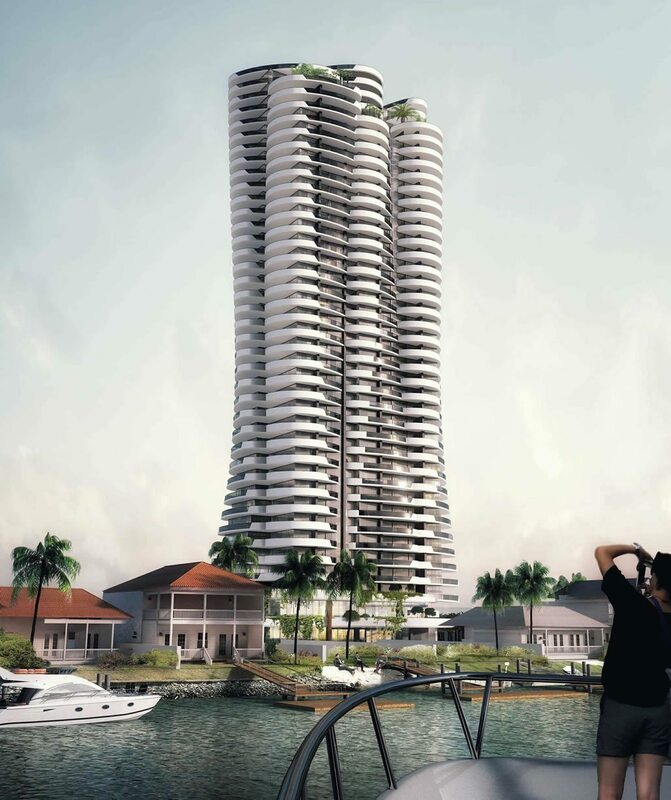 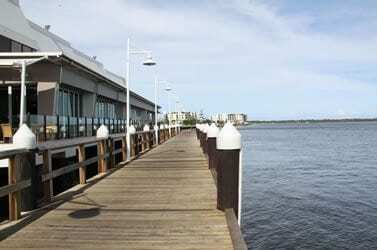 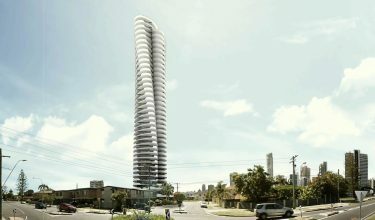 Chevron Island is a ground-breaking, forty-two storey residential tower on Chevron Island, Surfers Paradise. 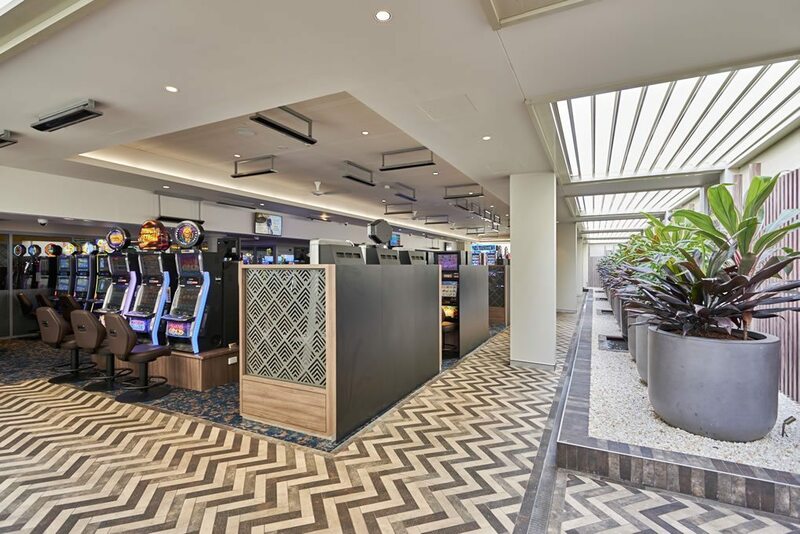 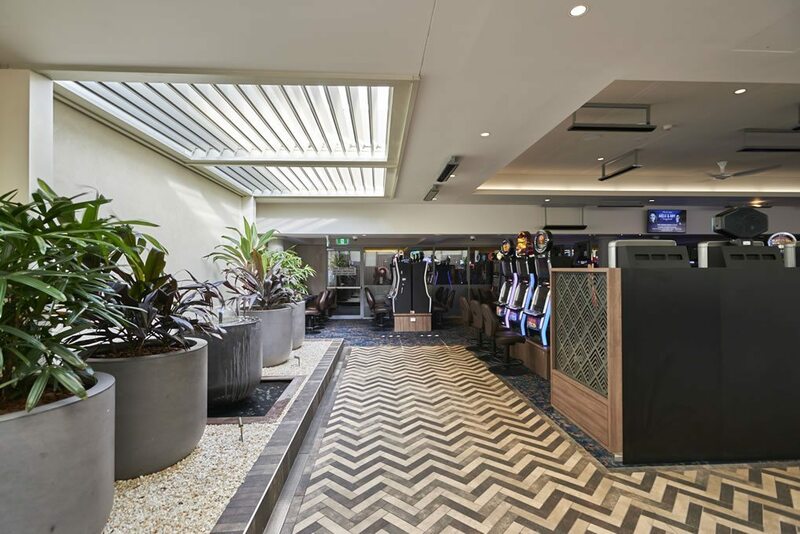 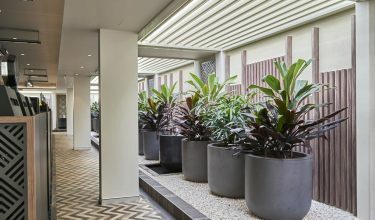 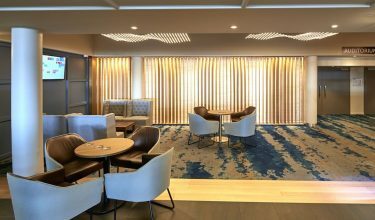 Designed to provide large unit accommodation in the heart of the action, the development has ground floor artist in residence, as well as a café, a residents’ lounge, gymnasium, barbecue area and 25m wet-edge heated pool. 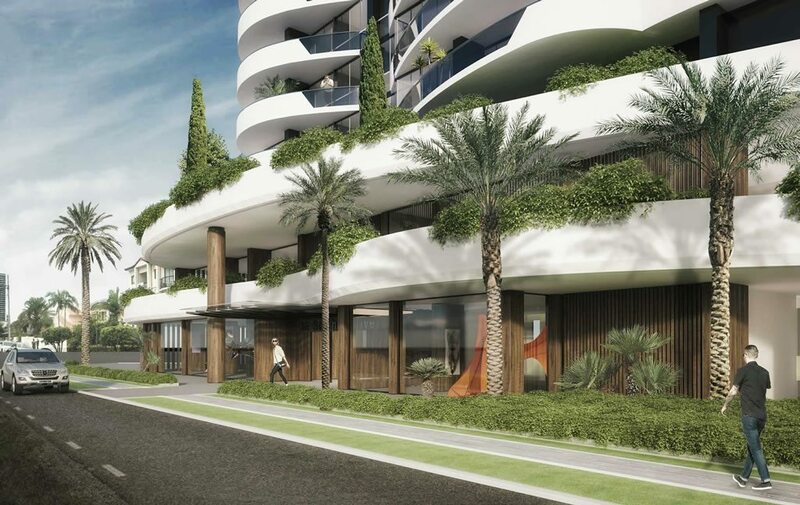 There will be additional features such as a drying and storage room on each floor for surfboards and bicycles, and car parking for all units. 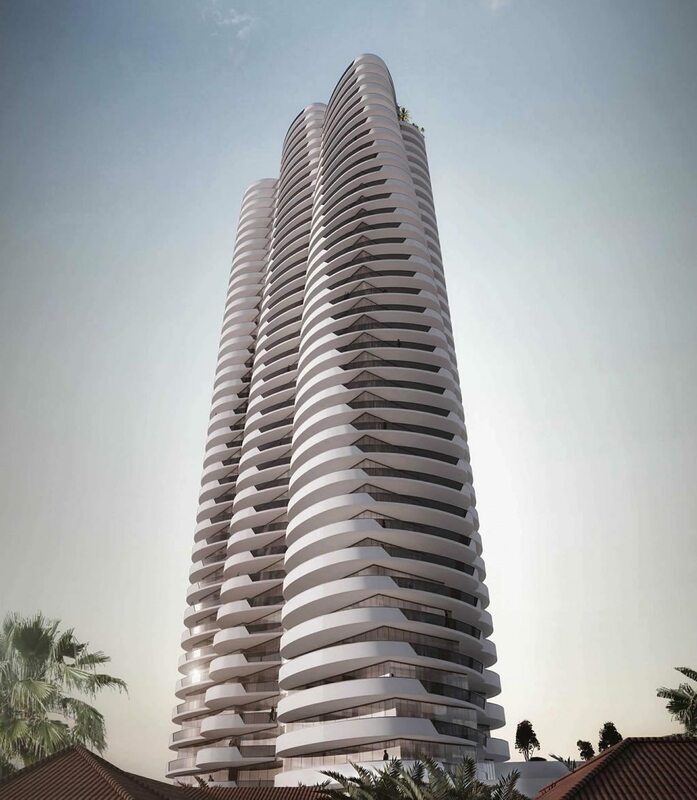 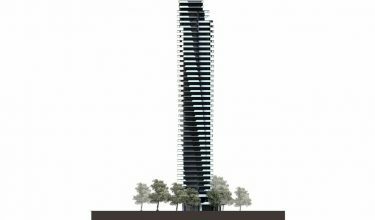 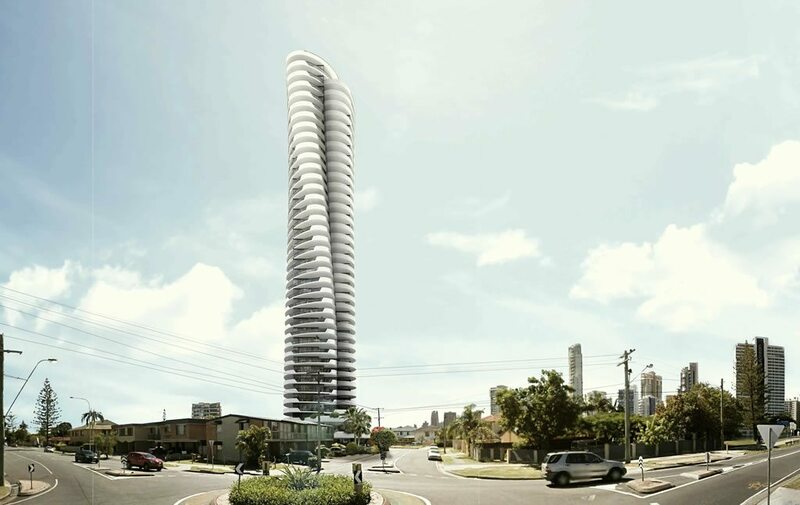 Many of the apartments in the east-facing tower will have 180-degree views of the Surfers skyline, the ocean and the Nerang River. 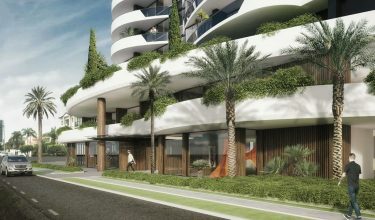 The apartments range from studio units to three bedroom suites and also luxury penthouses. 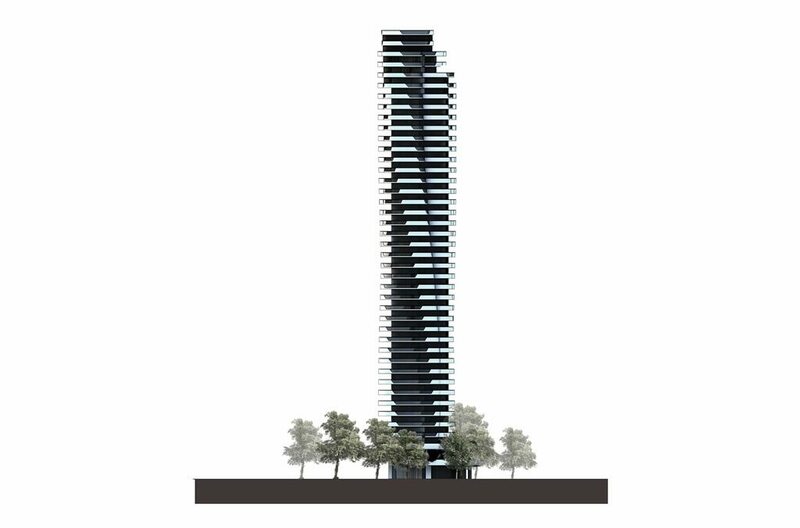 The client came to us wanting one stop shop for Civil and Structural Engineering Design for a new form of tower solution. 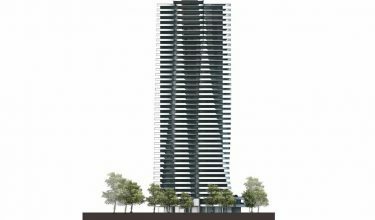 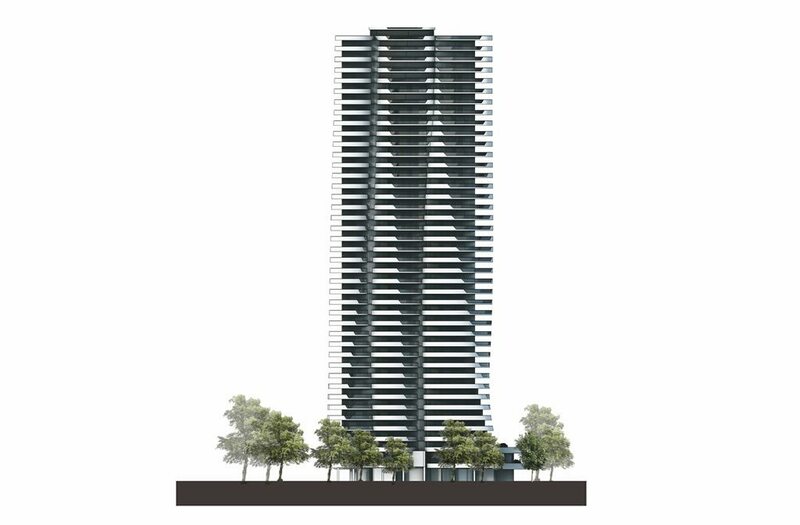 The key challenges we could see for this project were deep excavation into a water charged foundation, difficult parking and traffic impacts, and a tall slender curved building. 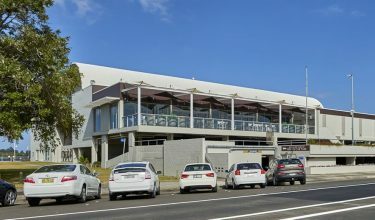 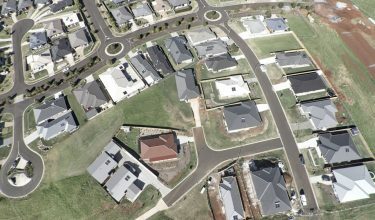 We overcame these challenges by review of foundation construction options that would minimise impact on neighbours and the environment, benchmarking parking and traffic impacts against similar developments around Australia and successfully negotiating an outcome with Council, developing load paths and structural solutions with the architect during early stages of the development. 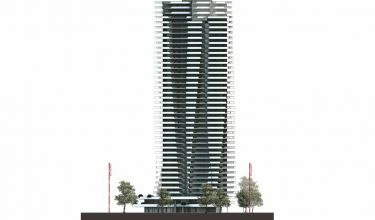 The budget for this project is estimated to be $120m. 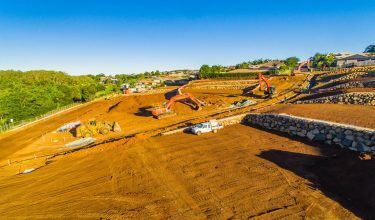 Ardill Payne & Partners will be responsible for the Civil Engineering, Structural Engineering & Traffic Engineering for the project. 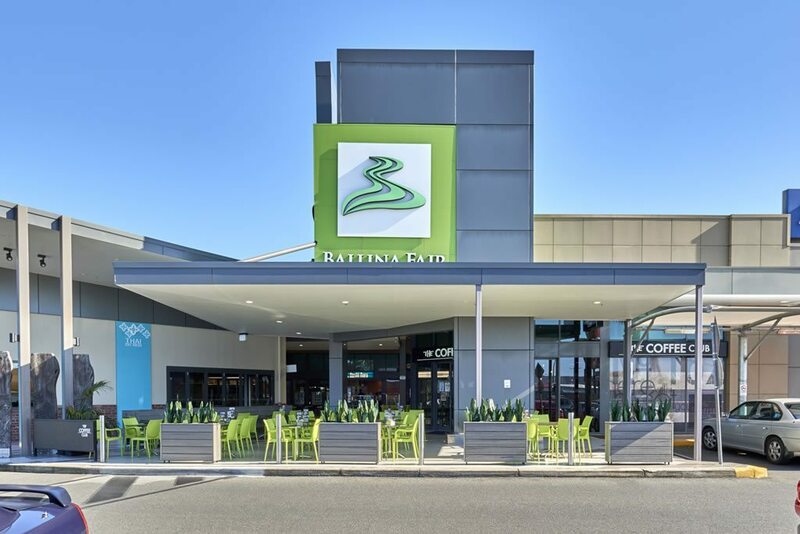 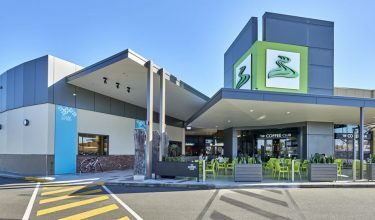 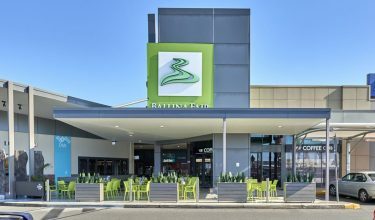 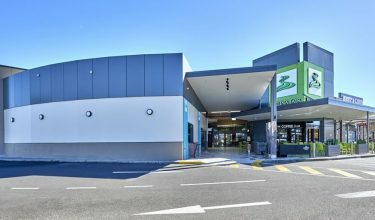 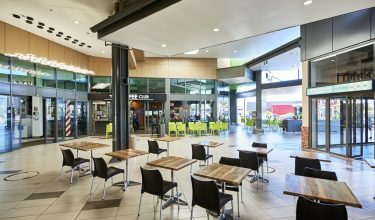 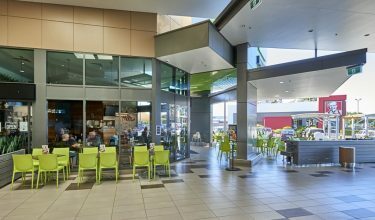 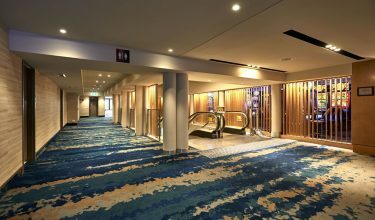 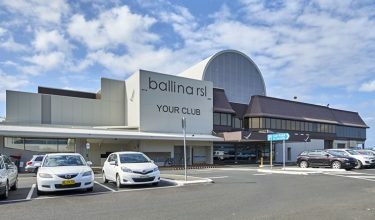 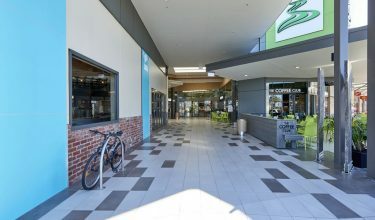 Ballina Fair Shopping Centre is a single level shopping centre which contains major retailers such as Target, Woolworths, Best & Less along with over 50 other speciality stores and services. 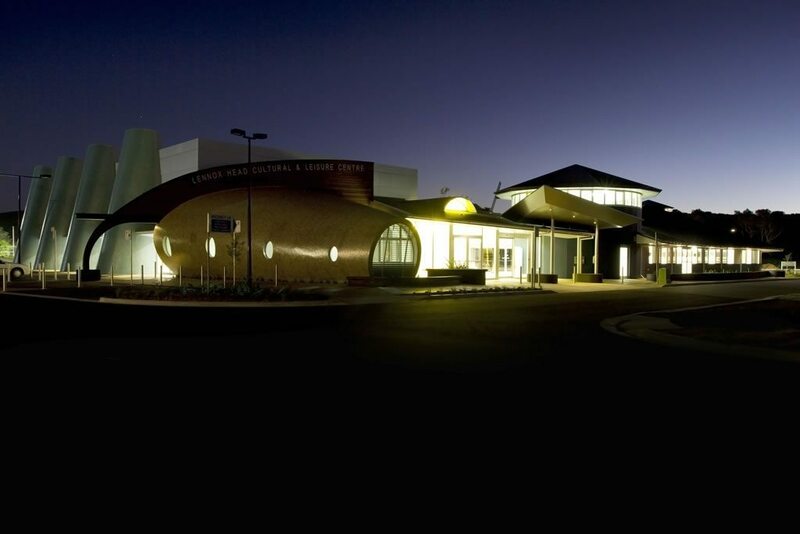 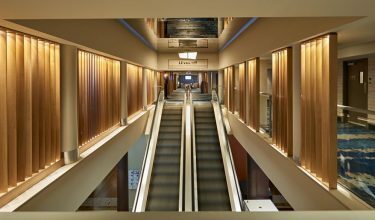 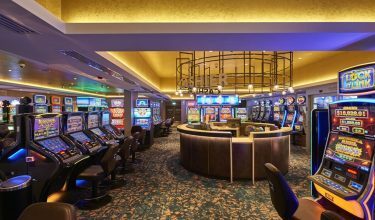 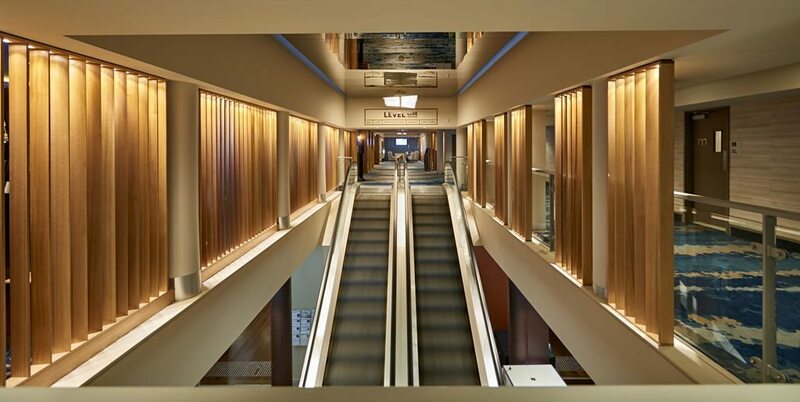 The Centre also contains a Cinema with 4 theatres, an indoor heated pool and gymnasium. 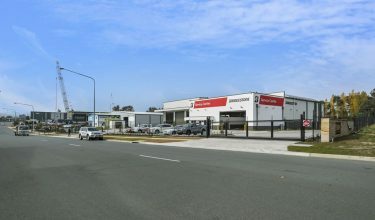 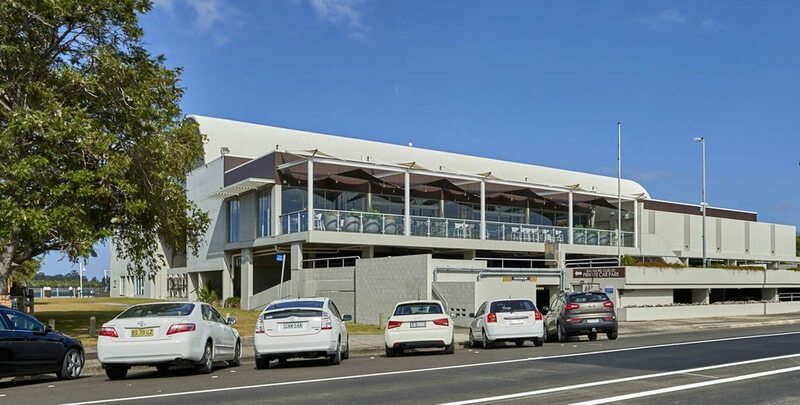 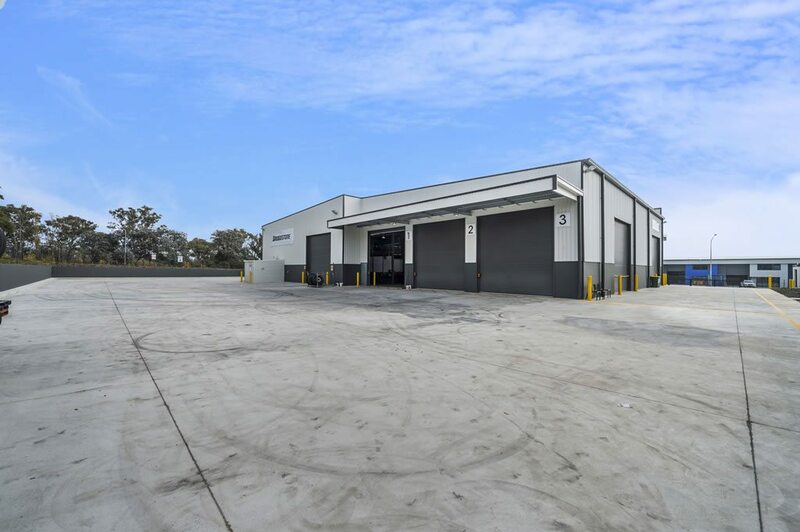 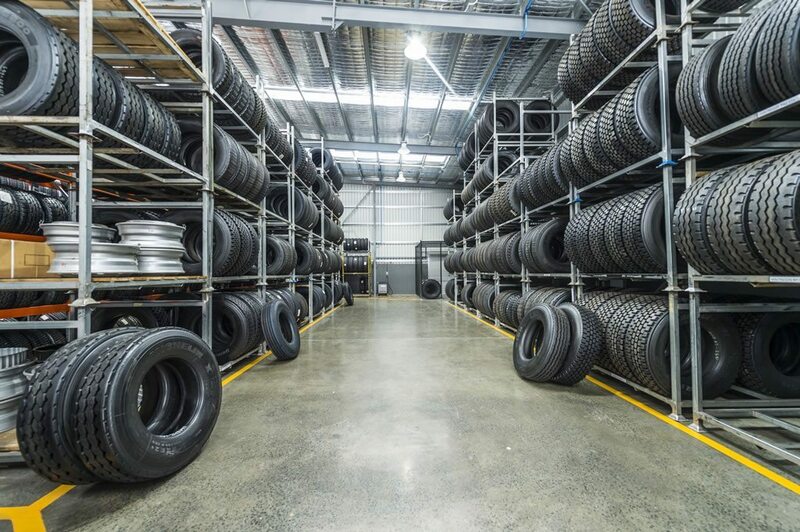 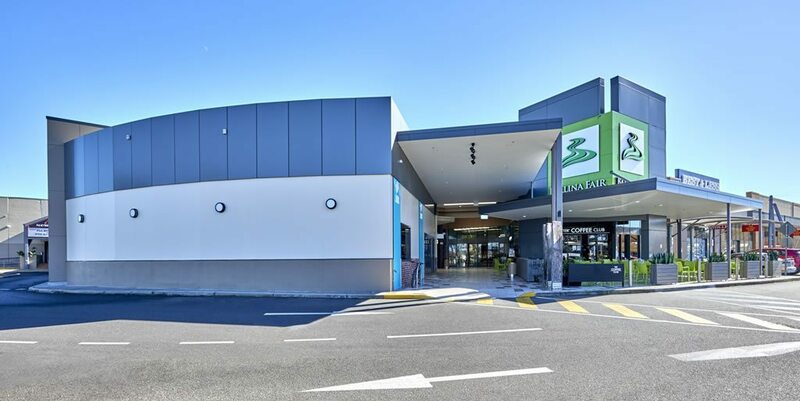 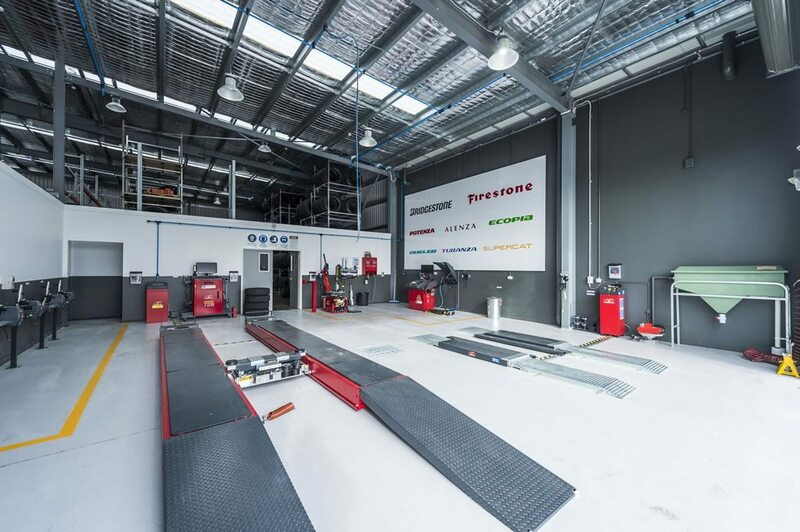 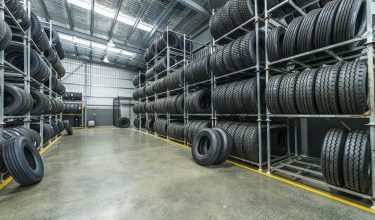 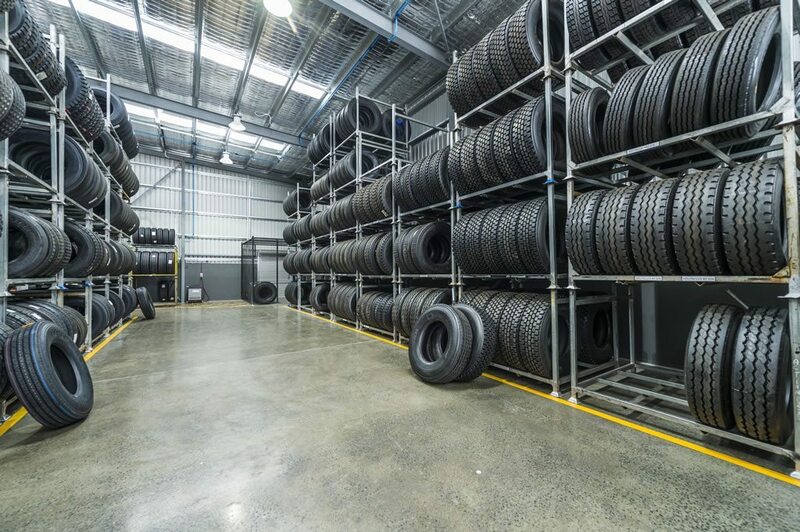 The client came to us wanting to obtain development consent for alterations and additions to the Ballina Fair Shopping Centre at 84 Kerr Street, Ballina. 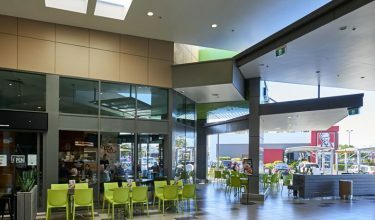 The proposed development involved the roofing and enclosure of the existing food court area at the south-eastern corner of the complex. 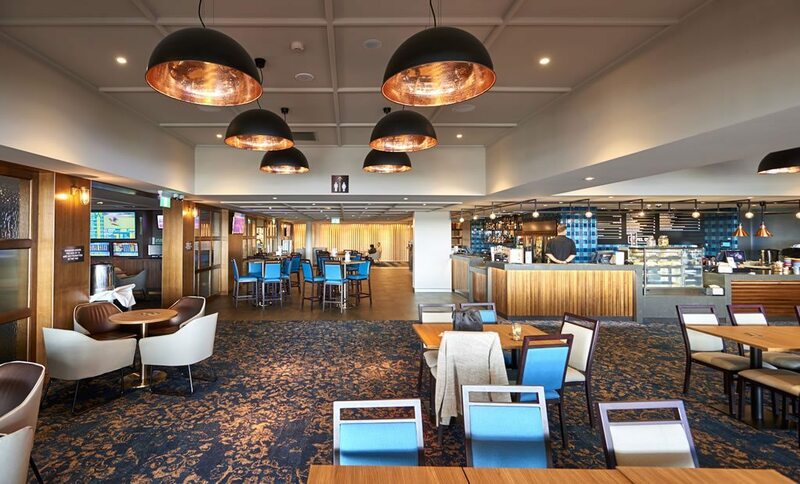 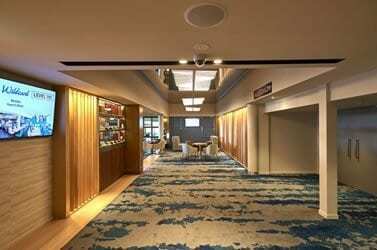 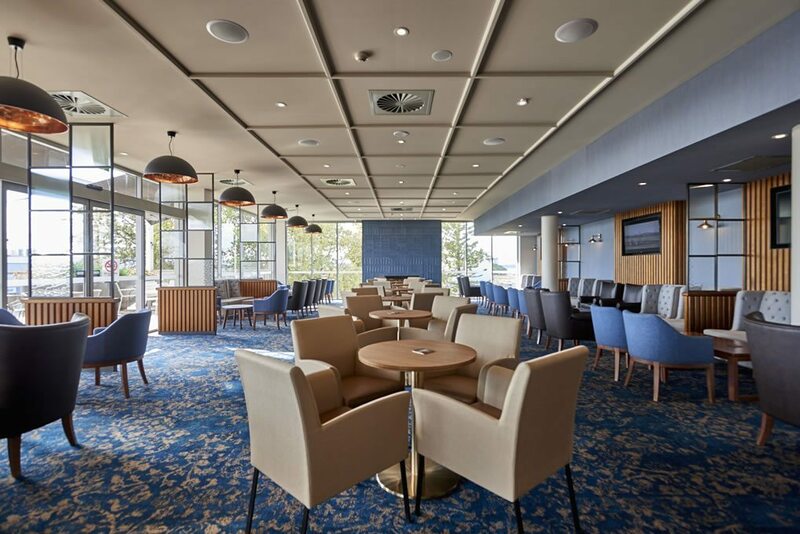 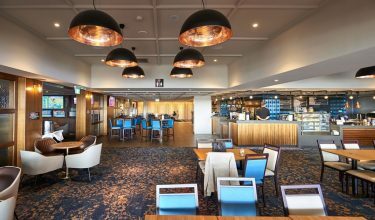 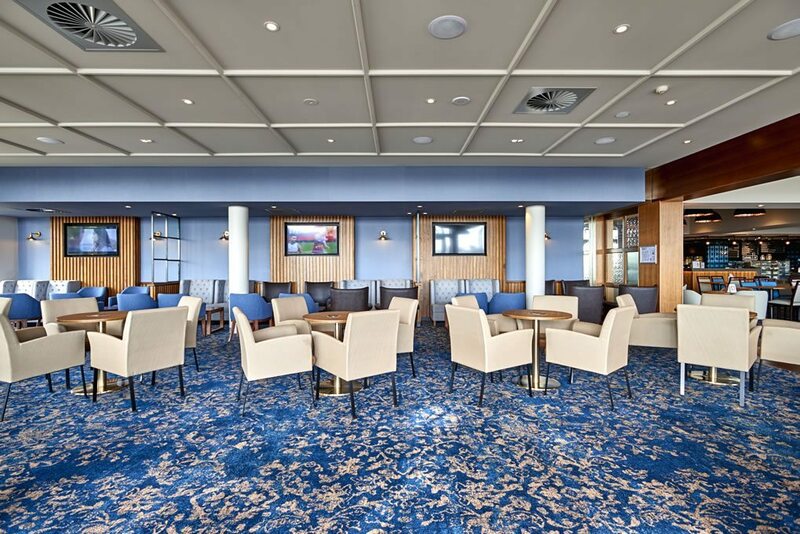 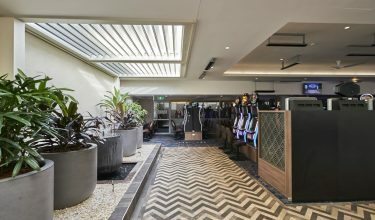 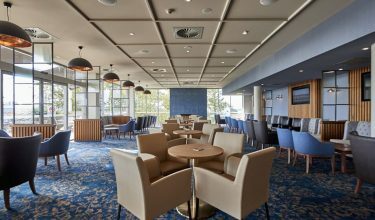 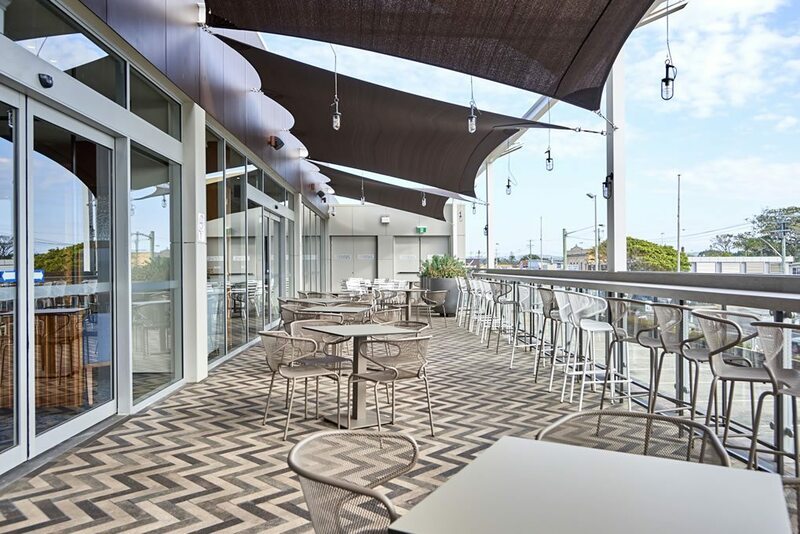 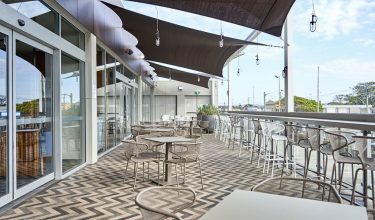 The works provided an increase in floor area of 223sqm and contains food premises and central tables and chairs. 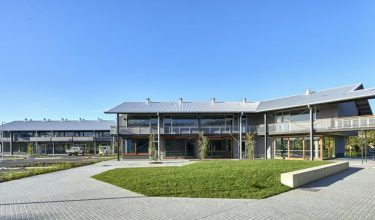 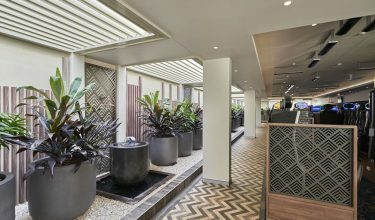 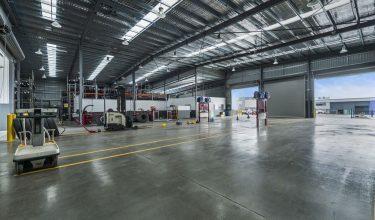 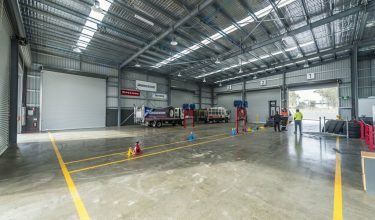 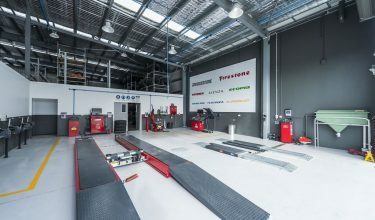 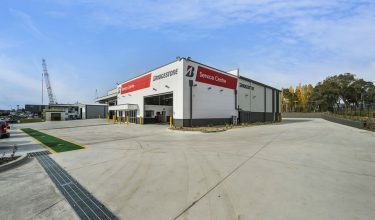 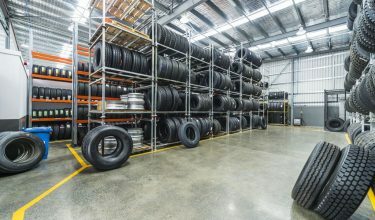 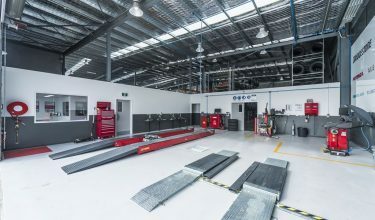 The key challenges we could see for this project were to integrate the development into the existing building and operations, ensure that the complex could continue to operate during the works and to ensure that works were attractive, functional, and satisfied all relevant standards and legislation. 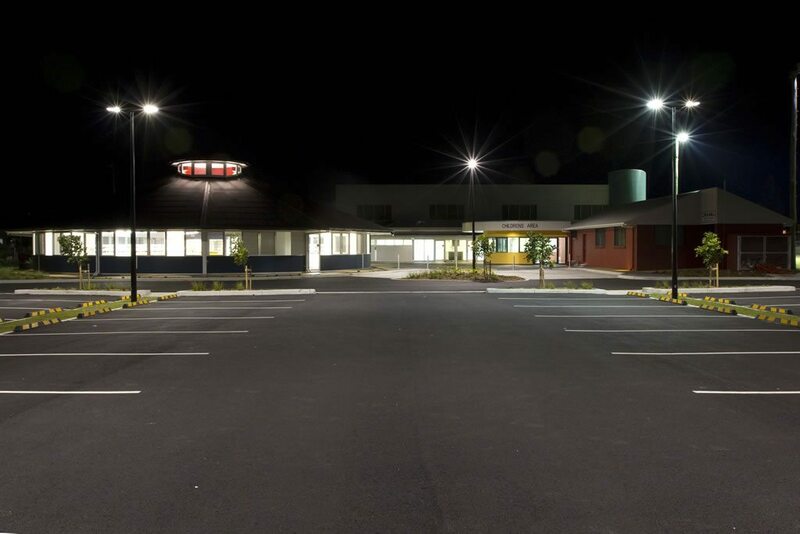 We overcame these challenges by undertaking detailed site planning, determining opportunities and constraints of the site, engaging with the architects and the Centre senior management, as well as having a number of pre-DA communications with Council’s Technical Officers. 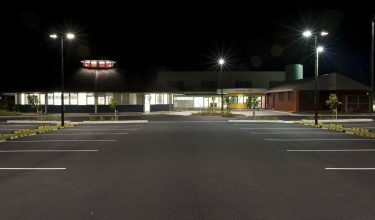 The budget for this project was $1,300,00.00. 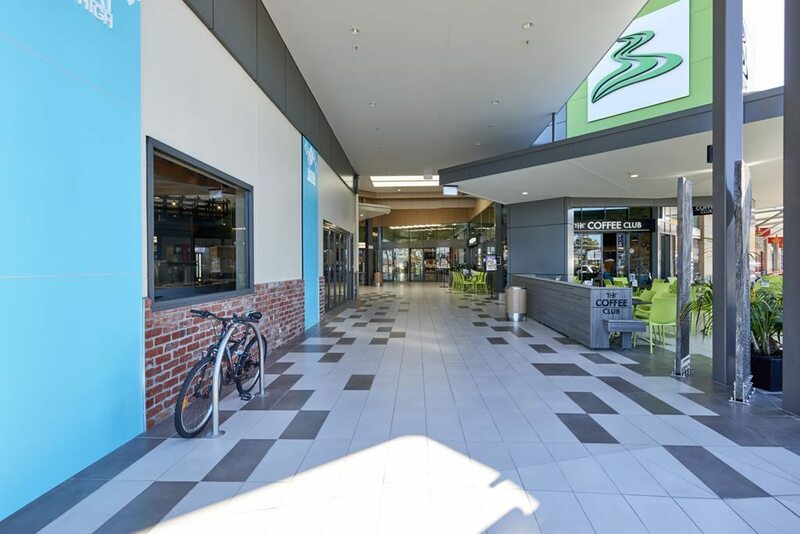 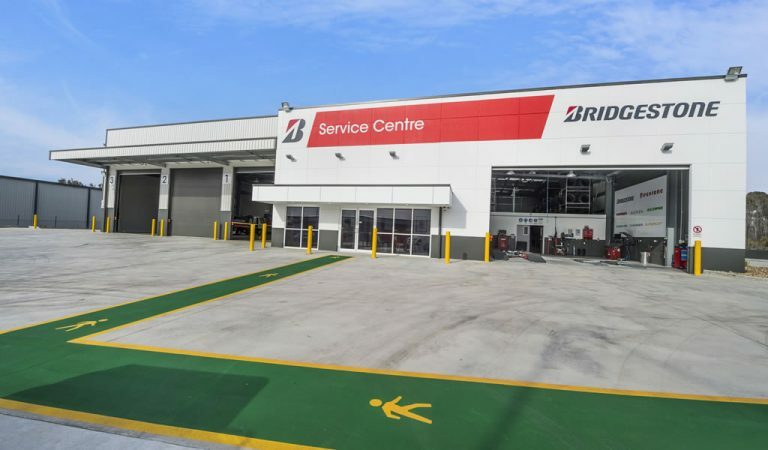 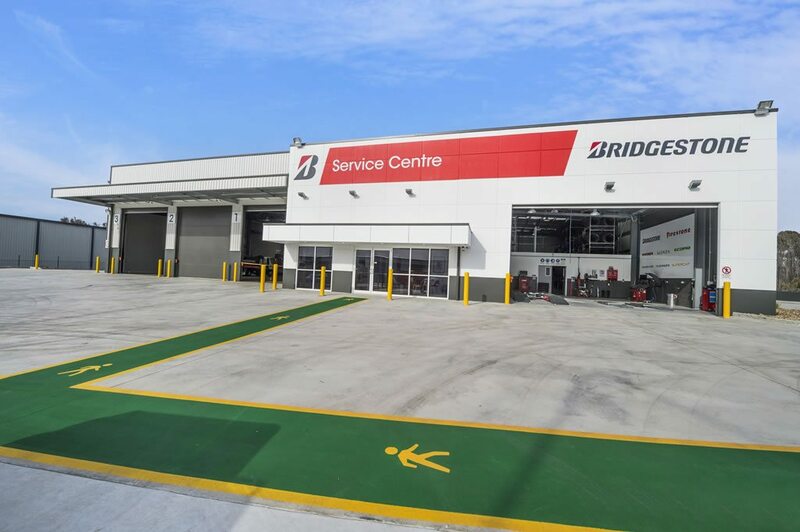 The key features/points of difference to mention in respect of the project are that it is the largest Shopping Centre in the Shire, is on flood-prone land and is highly visible in the local streetscape (having 3 road frontages). 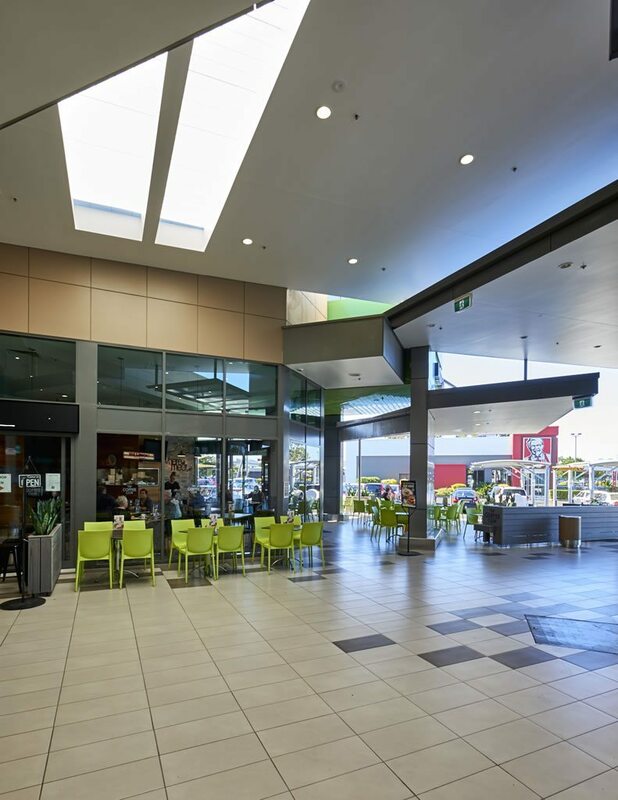 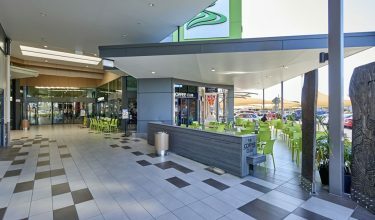 Ardill Payne & Partners undertook the Structural Design of the initial Shopping Centre in 1989 and were engaged for the redevelopment project in 2007, being responsible for gaining Town Planning approvals for the redevelopment, along with Structural Design and Survey. 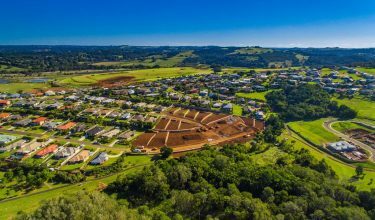 The Development Application (DA) and Statement of Environmental Effects (SEE) was lodged with Council on the 13th March 2015 and was given the file reference number DA 2015/101. 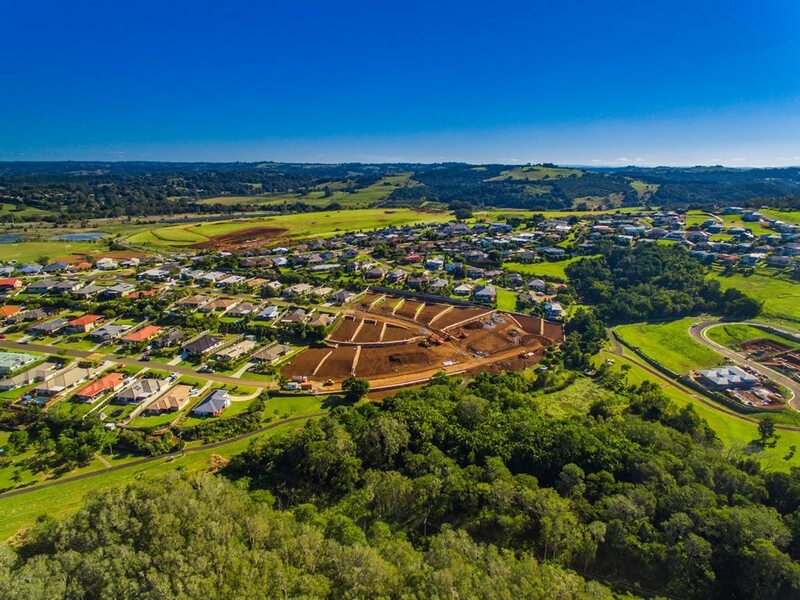 Council granted conditional consent to the DA/SEE on the 9th June 2015. 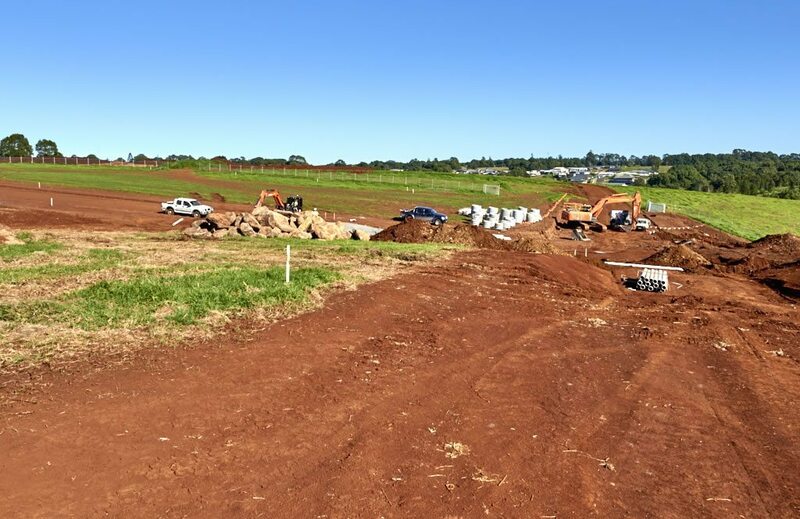 Construction works commenced on the site in May 2016. 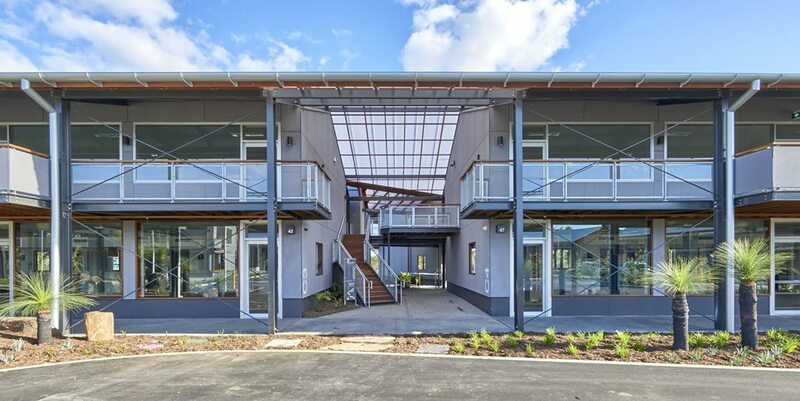 The architects for this project are PDT Architects, and the builders are Greg Clark Building Pty Ltd.